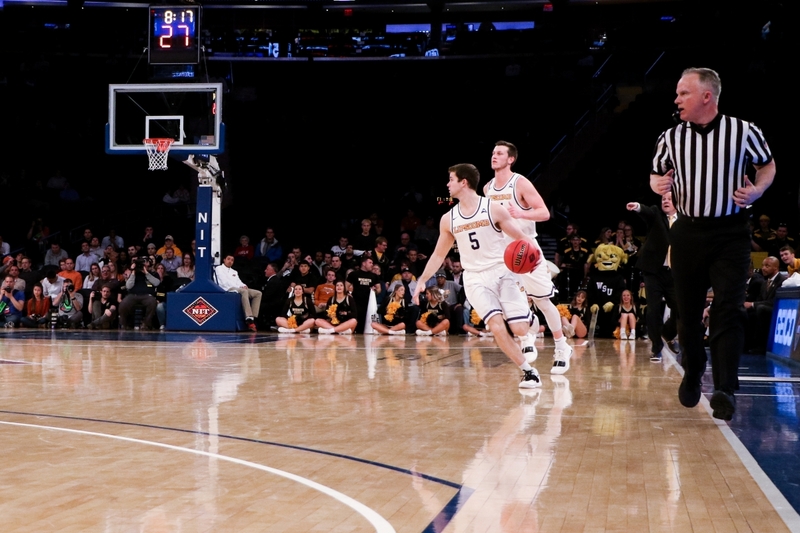 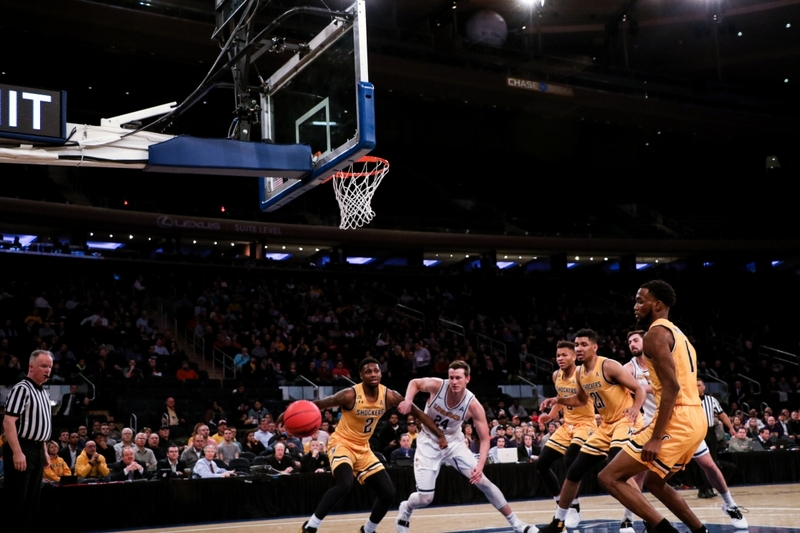 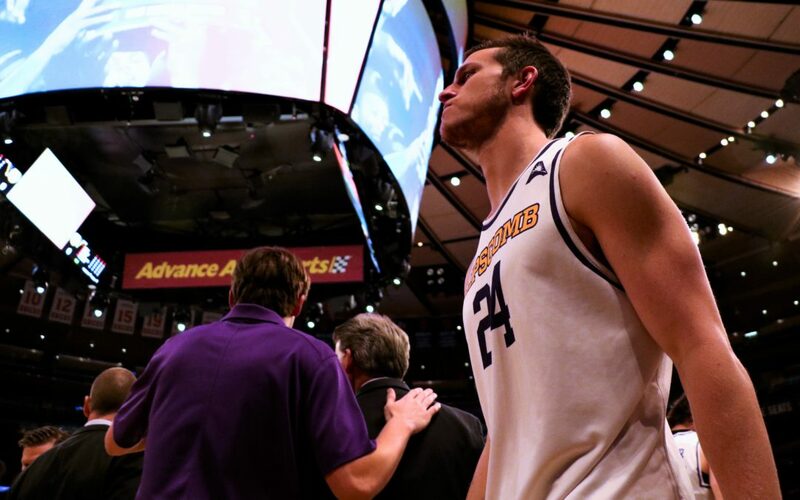 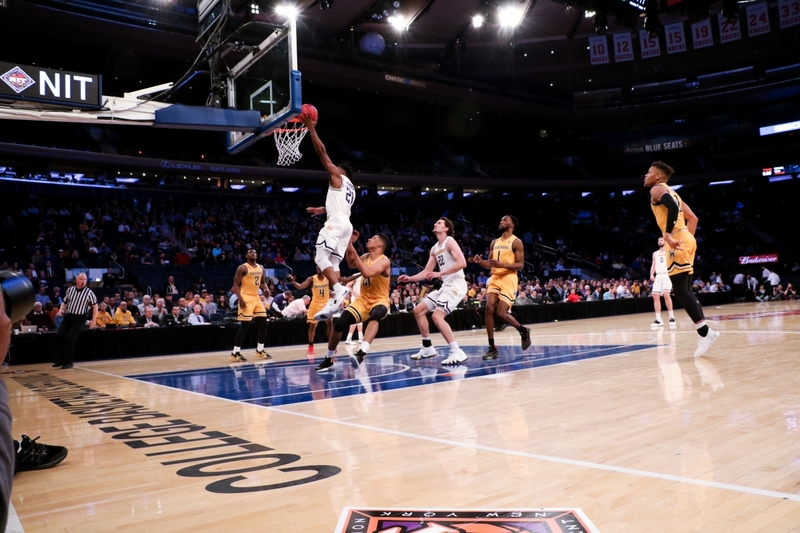 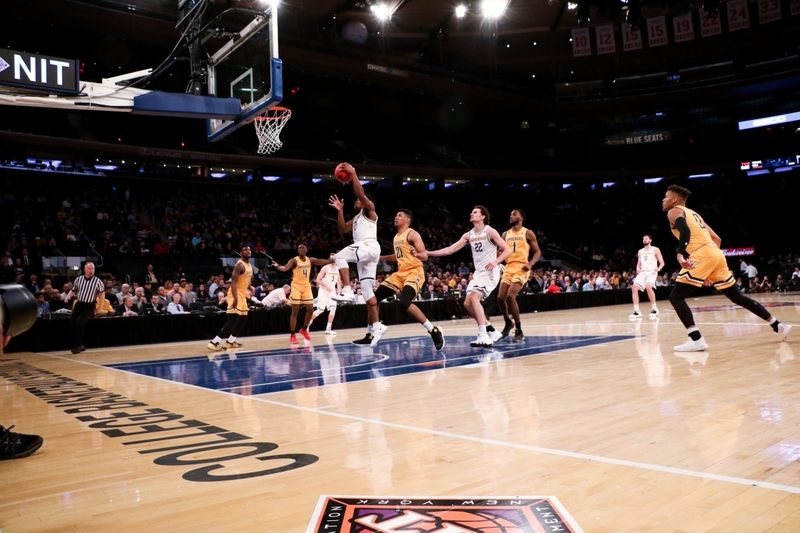 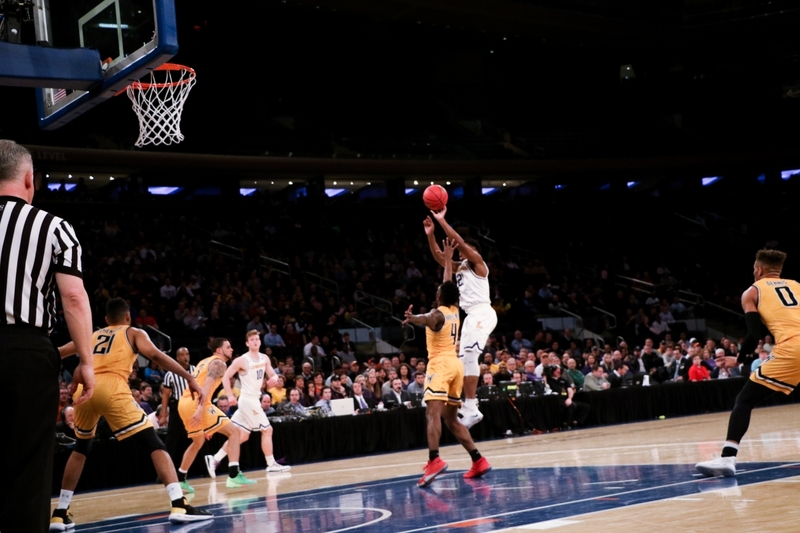 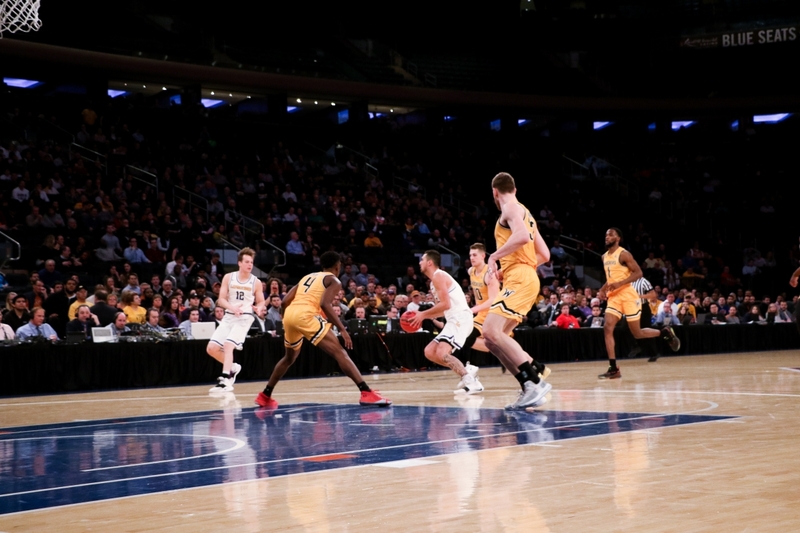 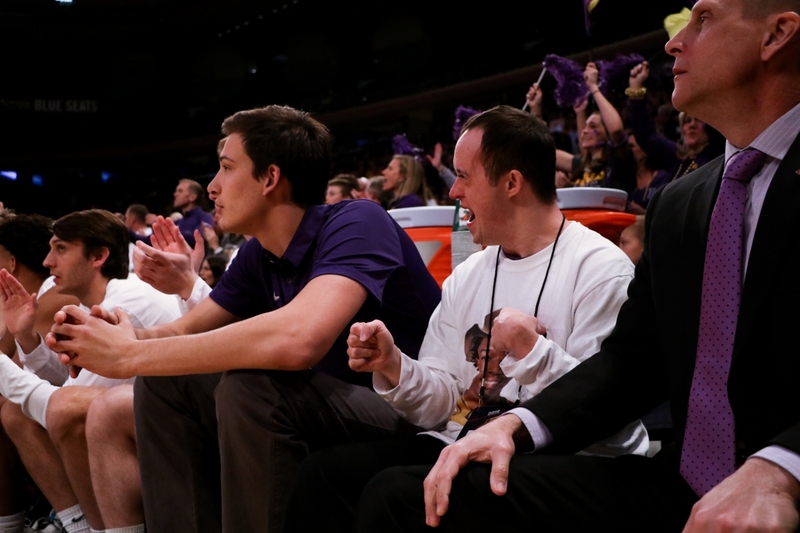 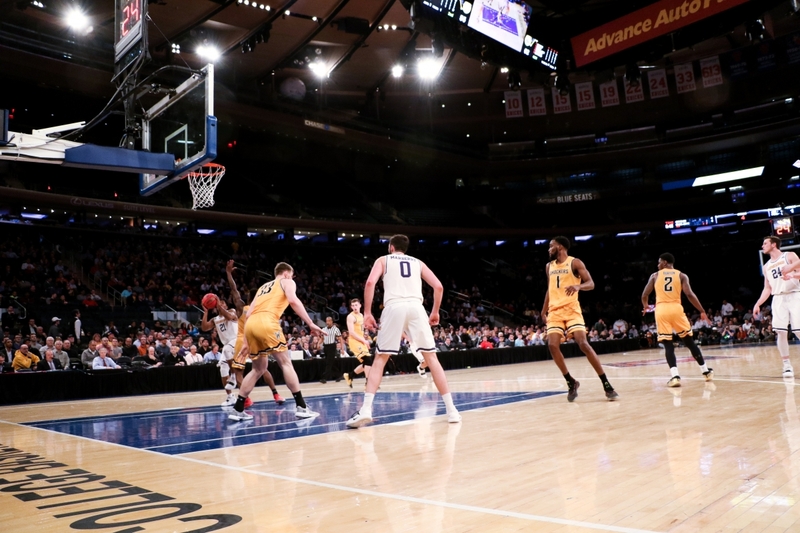 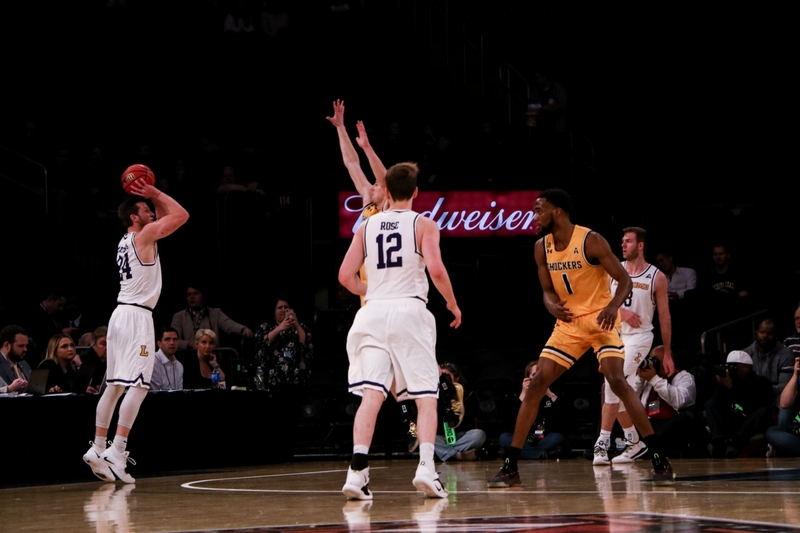 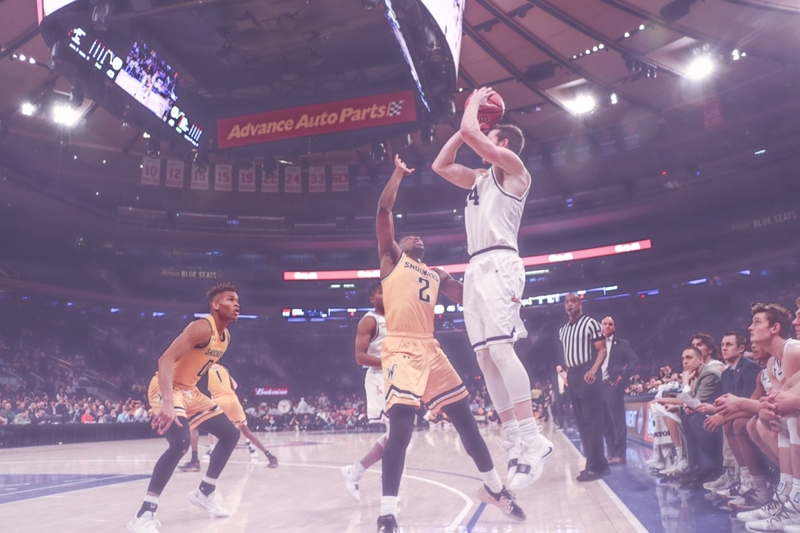 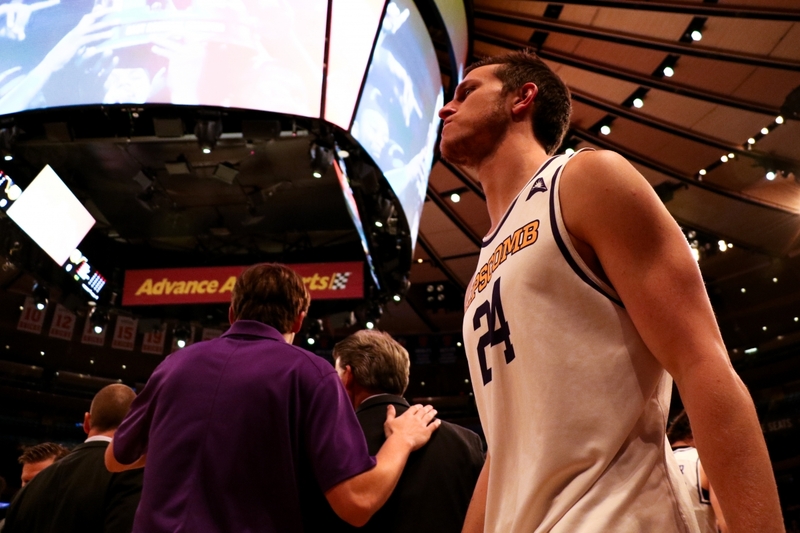 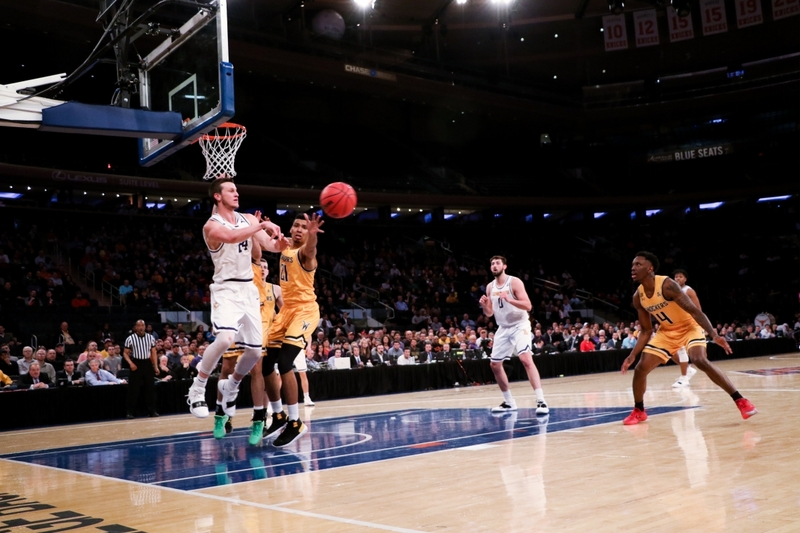 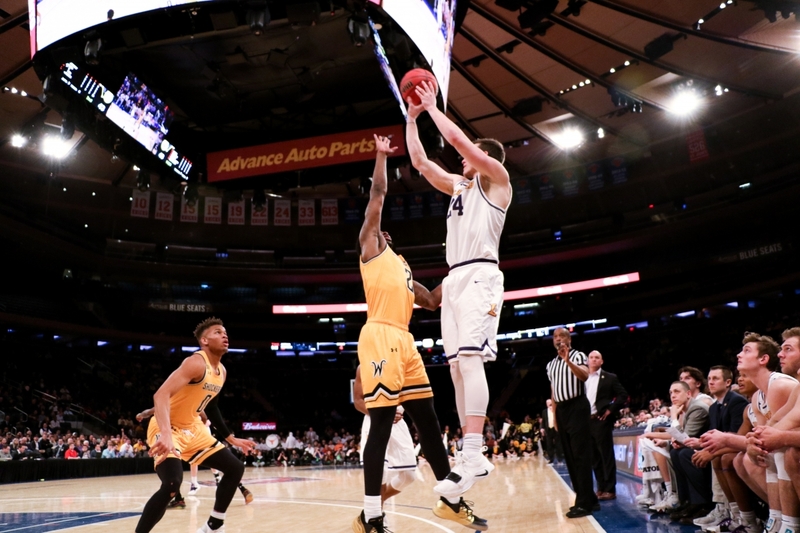 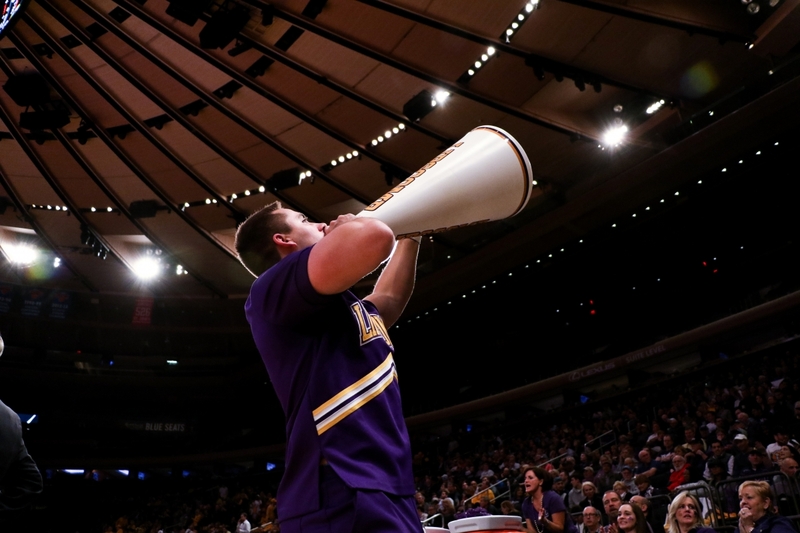 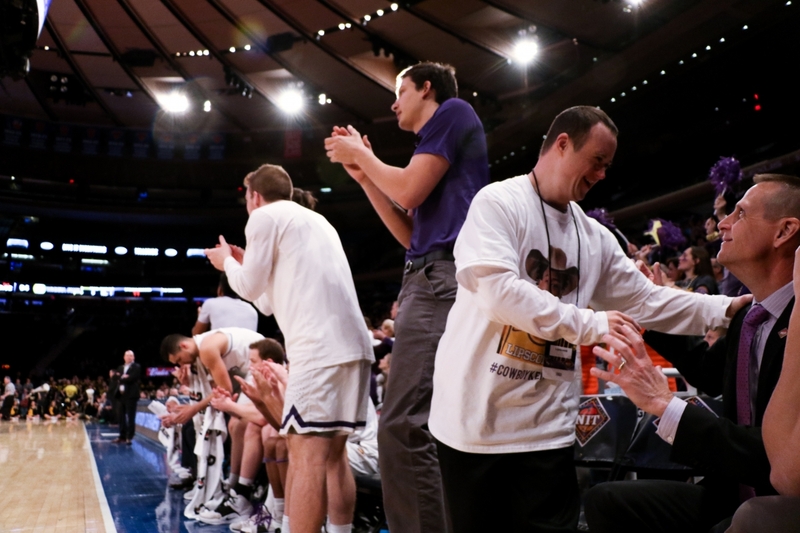 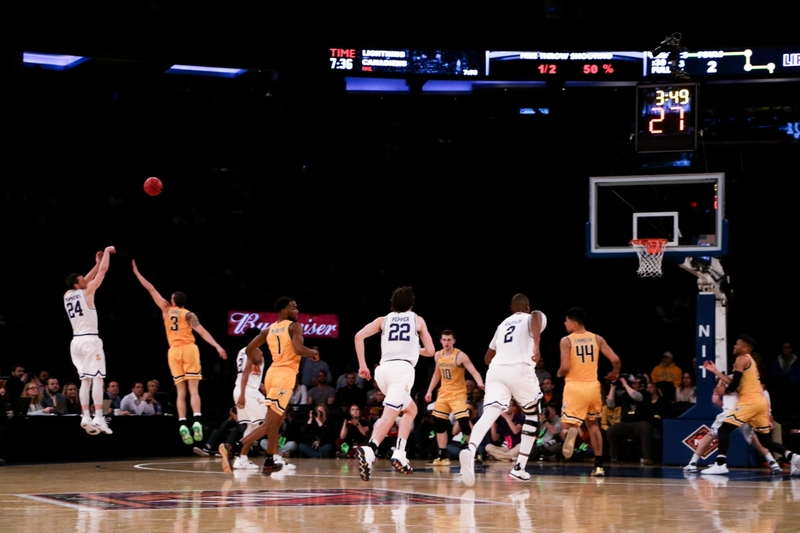 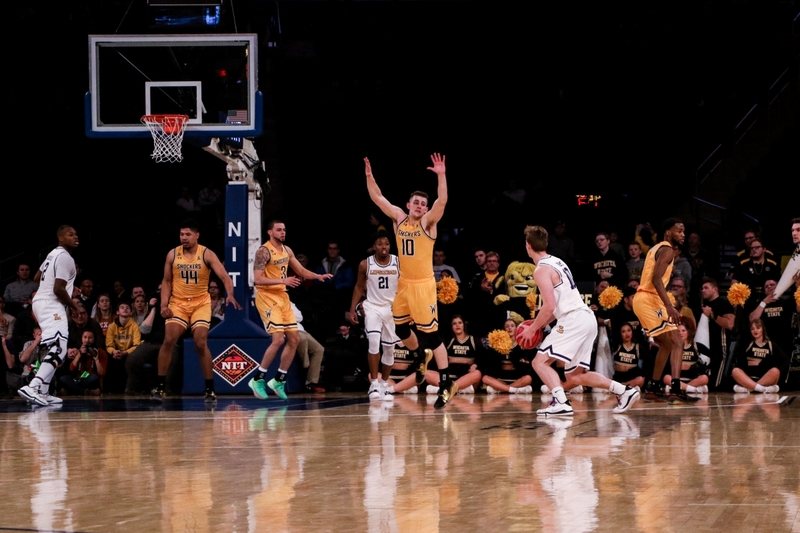 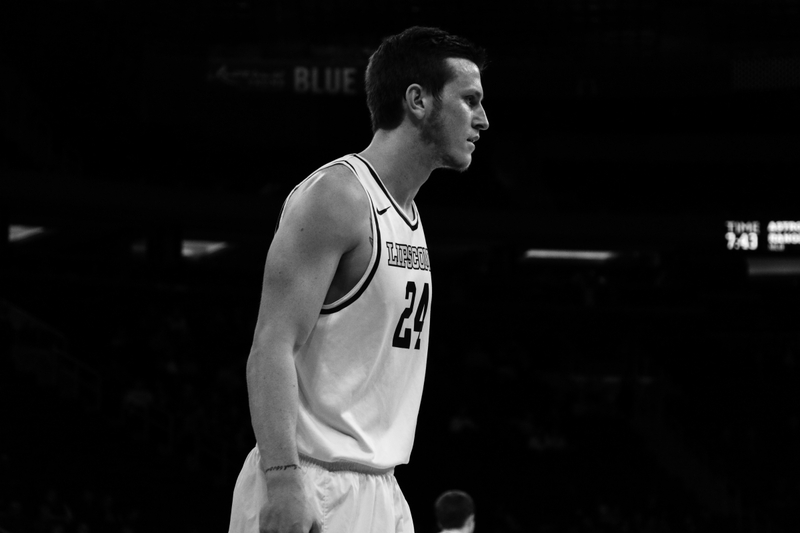 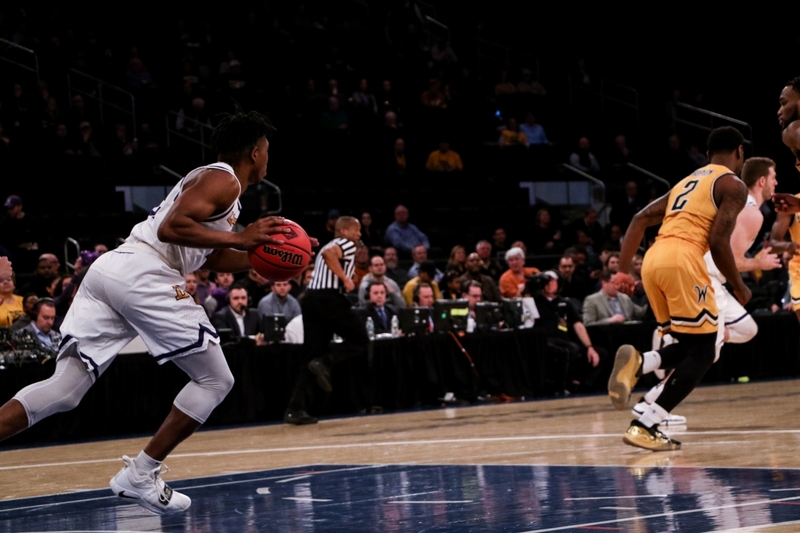 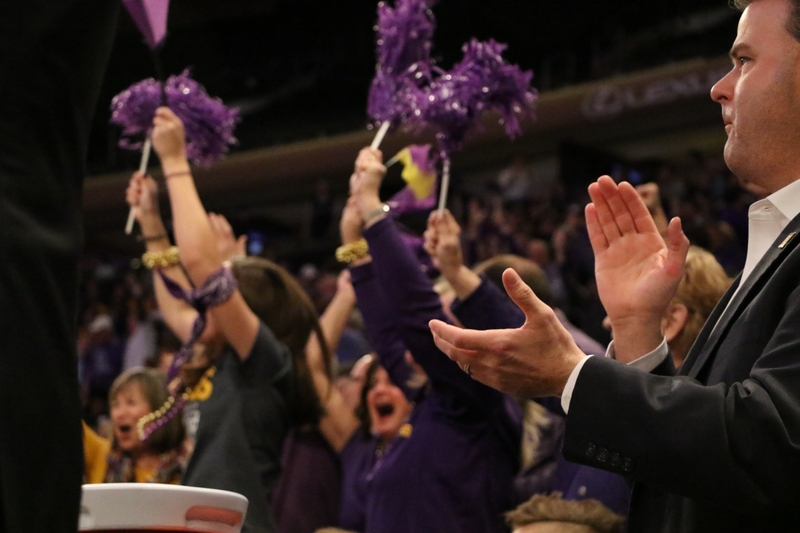 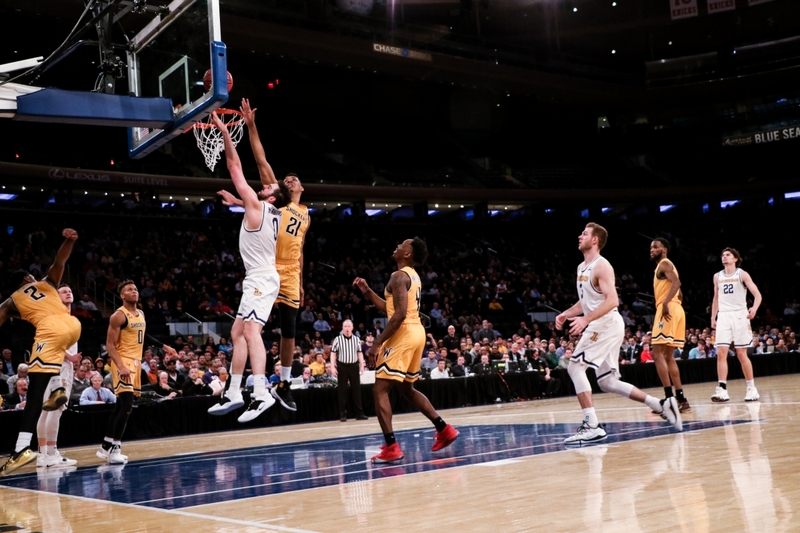 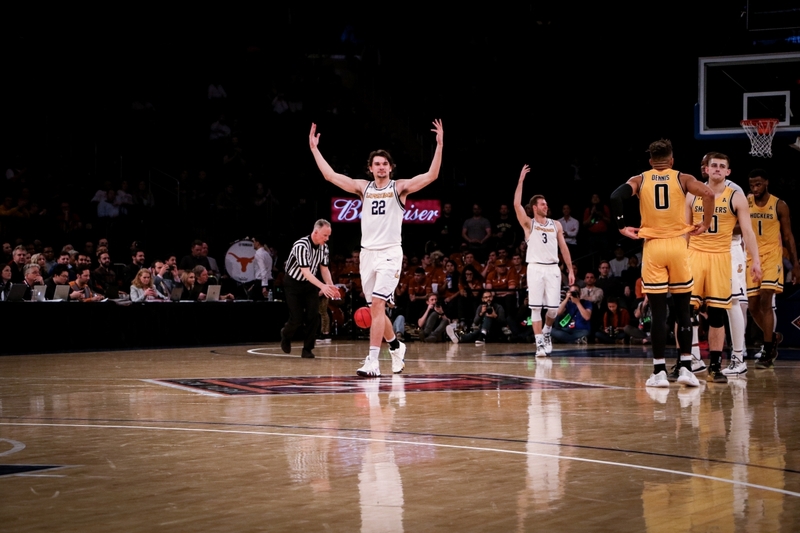 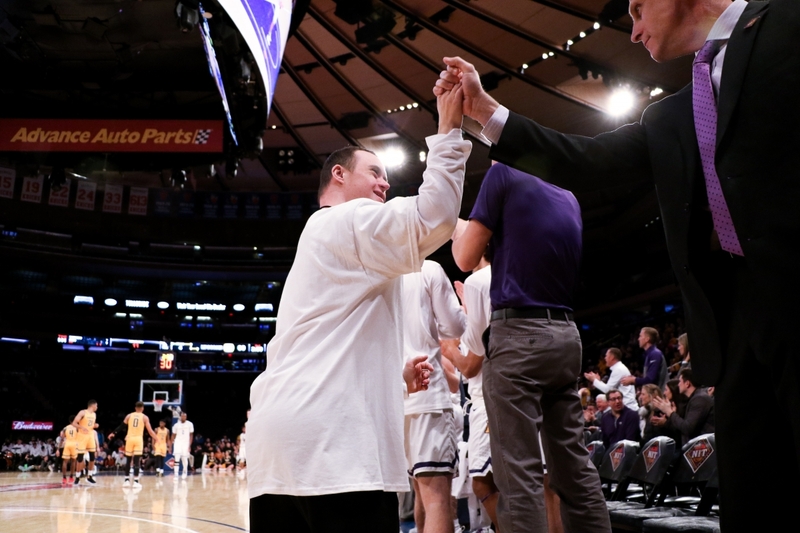 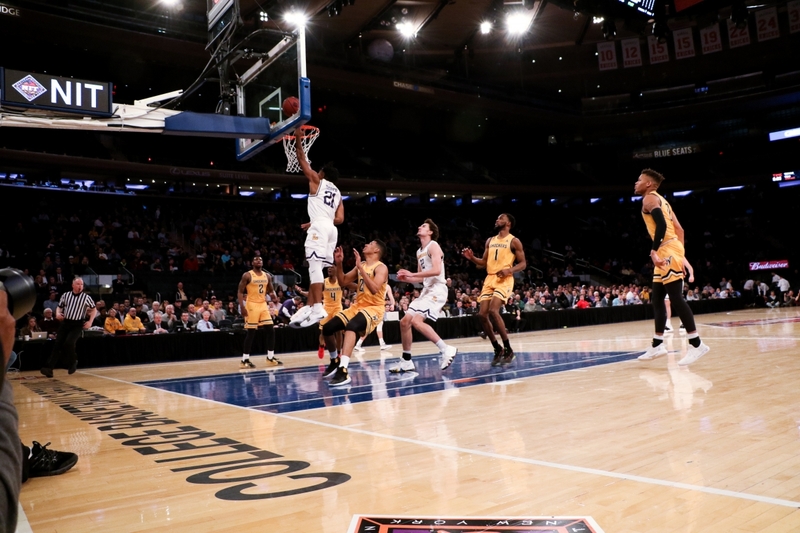 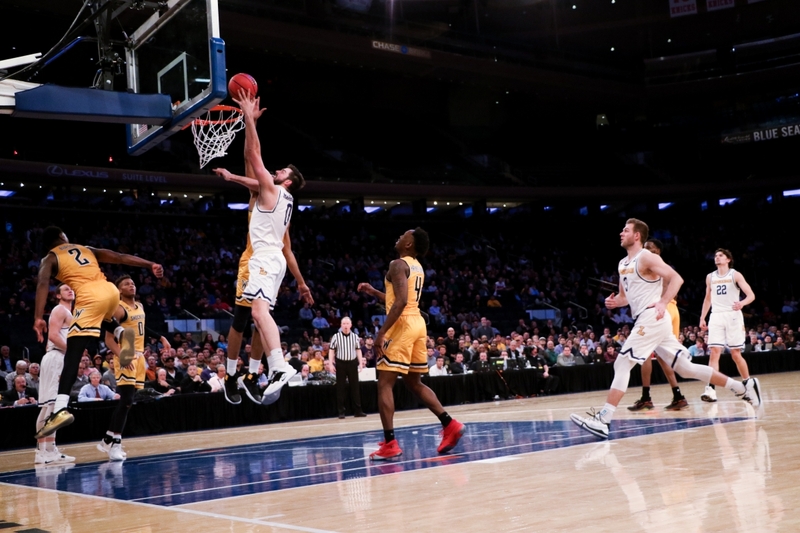 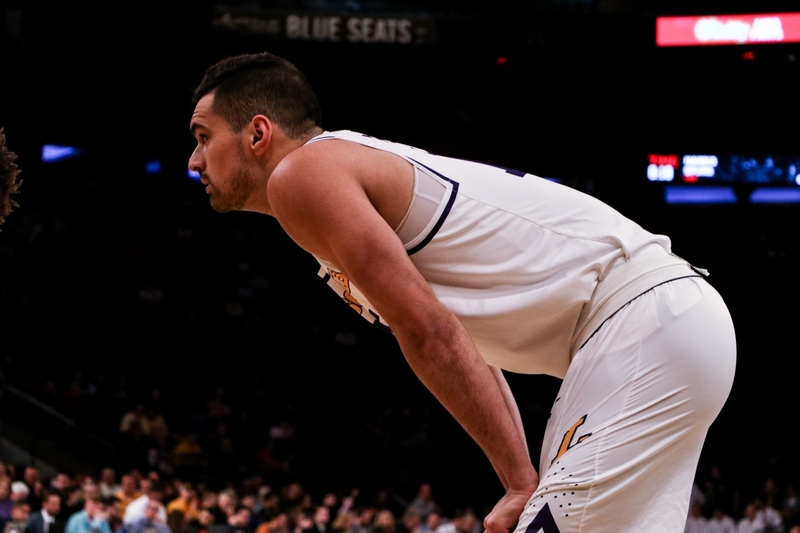 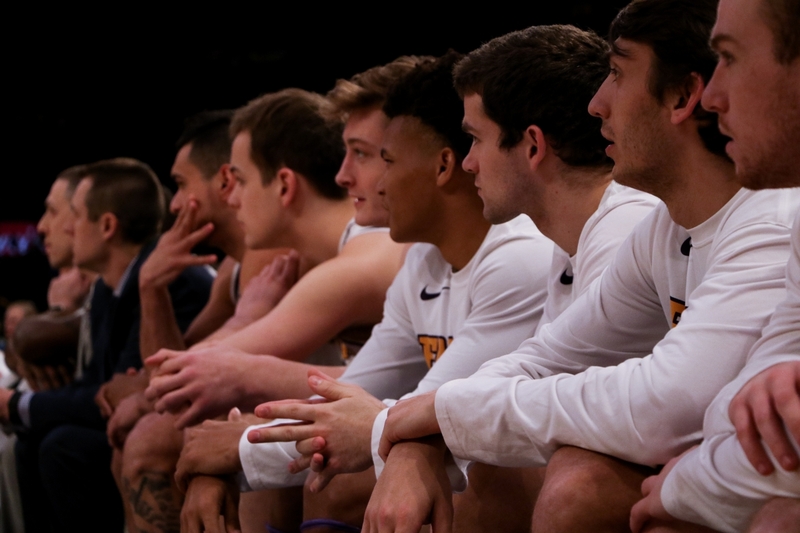 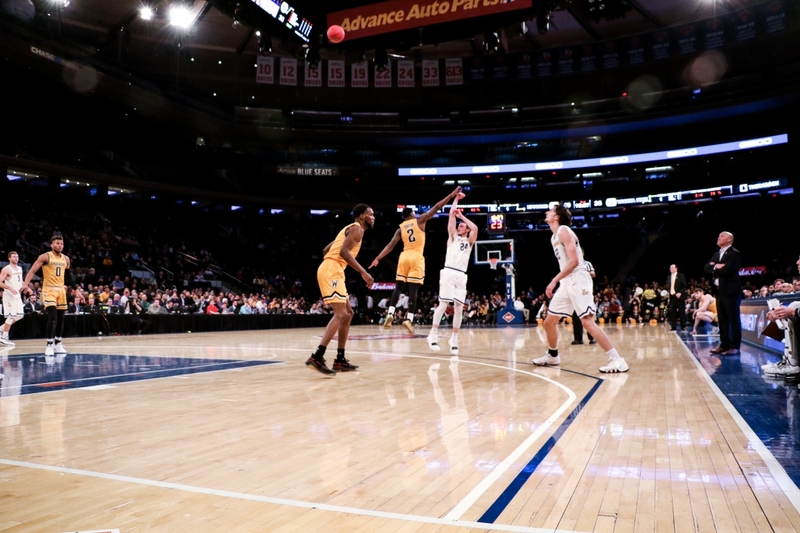 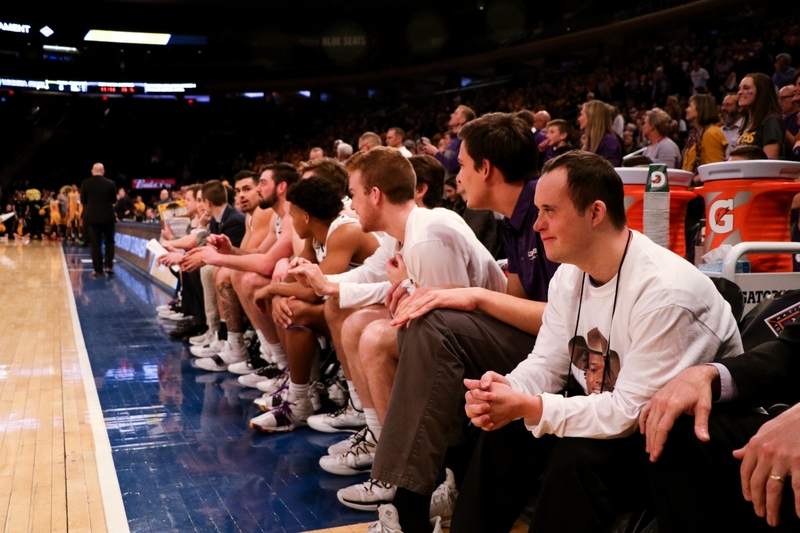 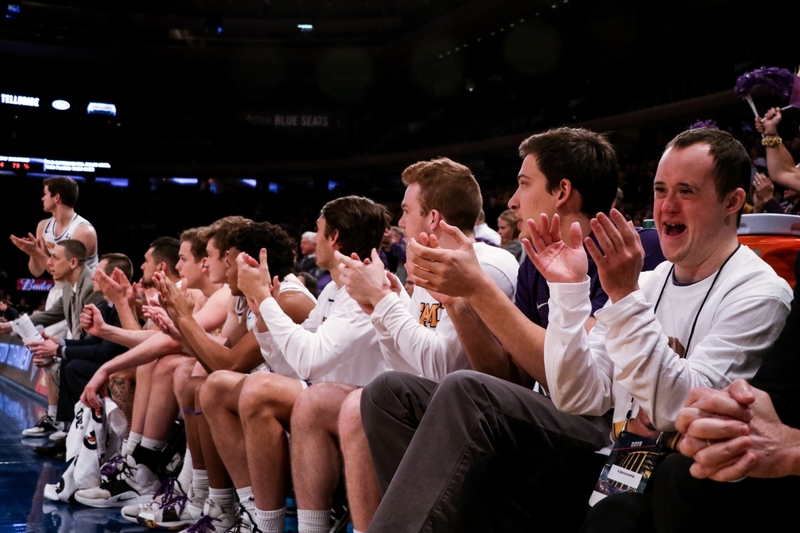 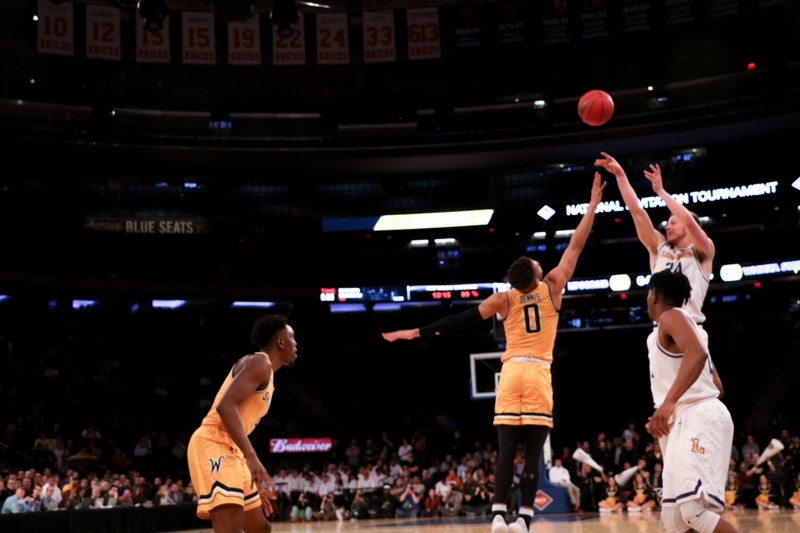 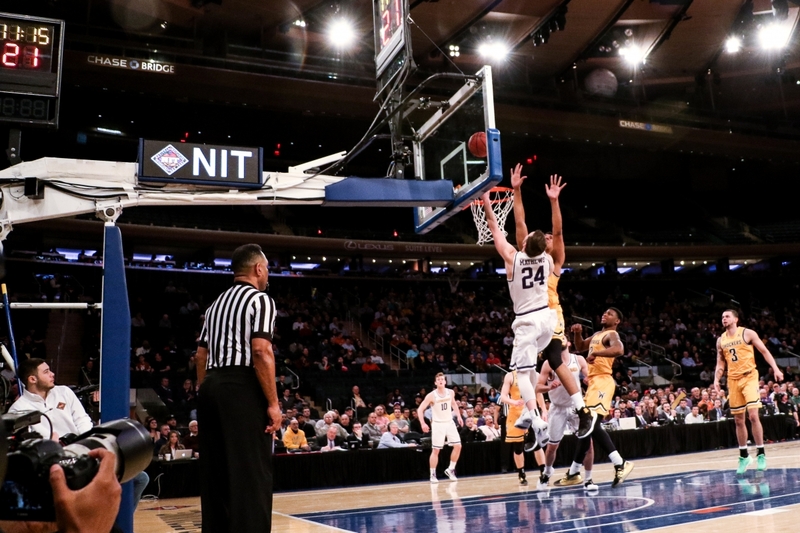 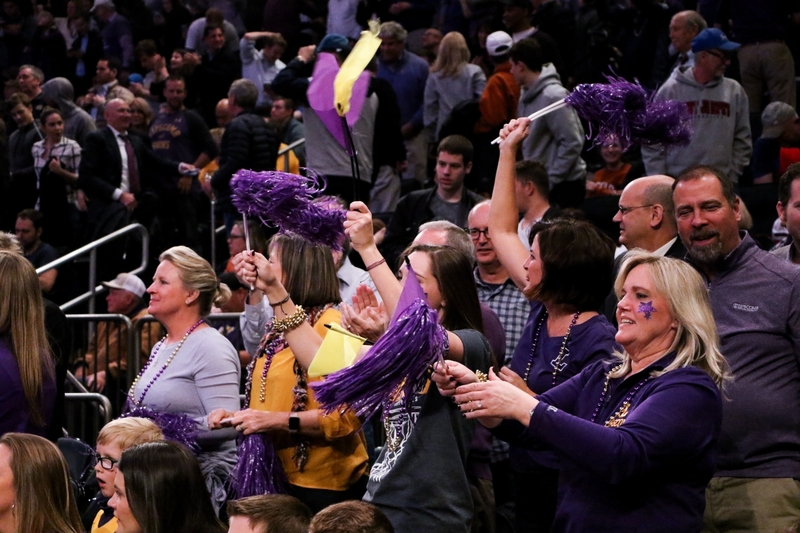 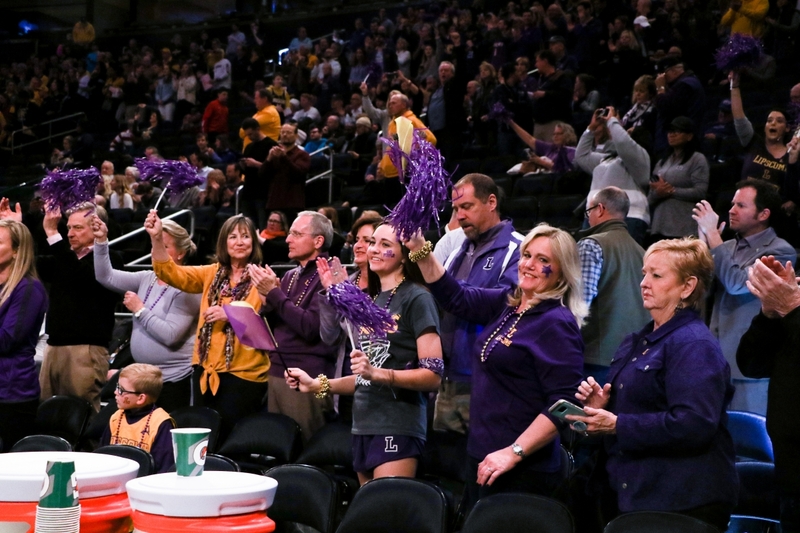 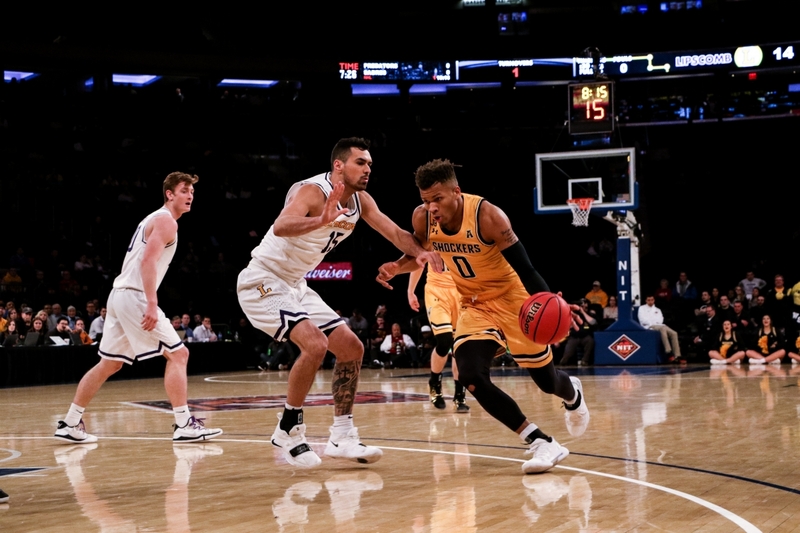 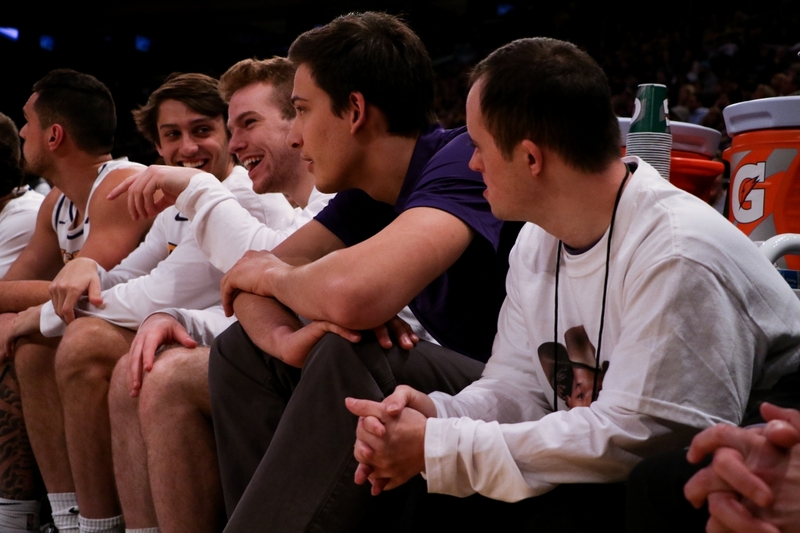 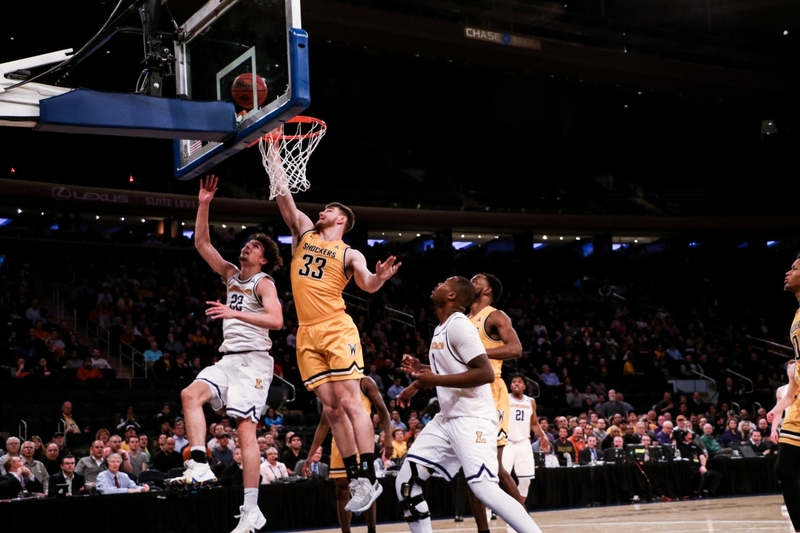 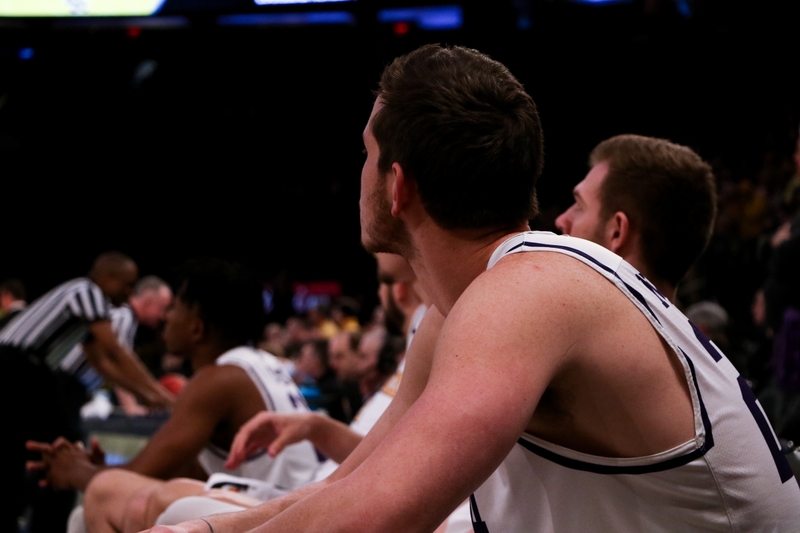 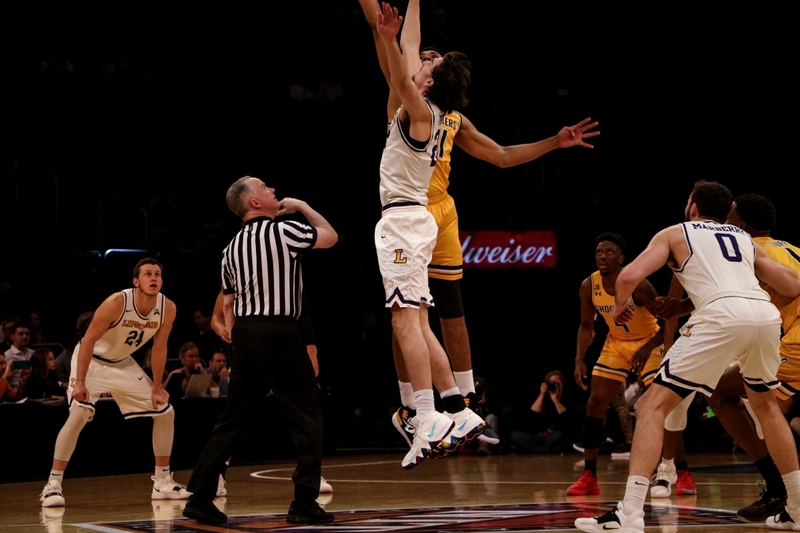 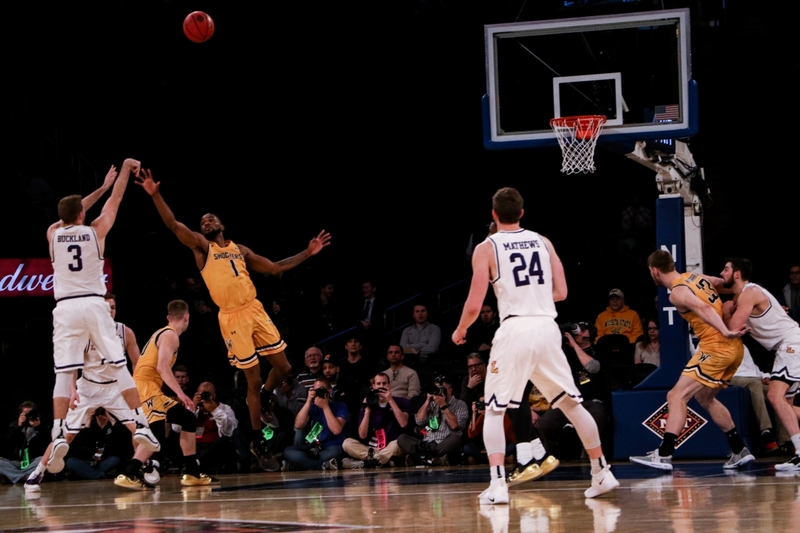 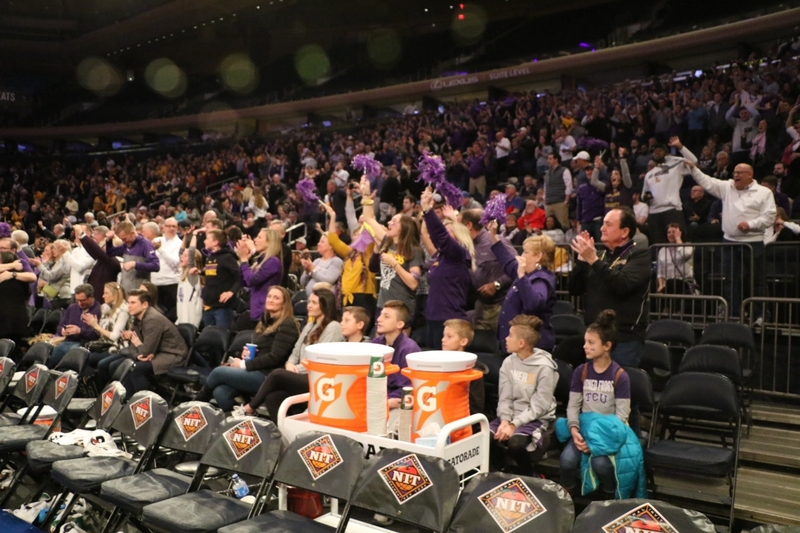 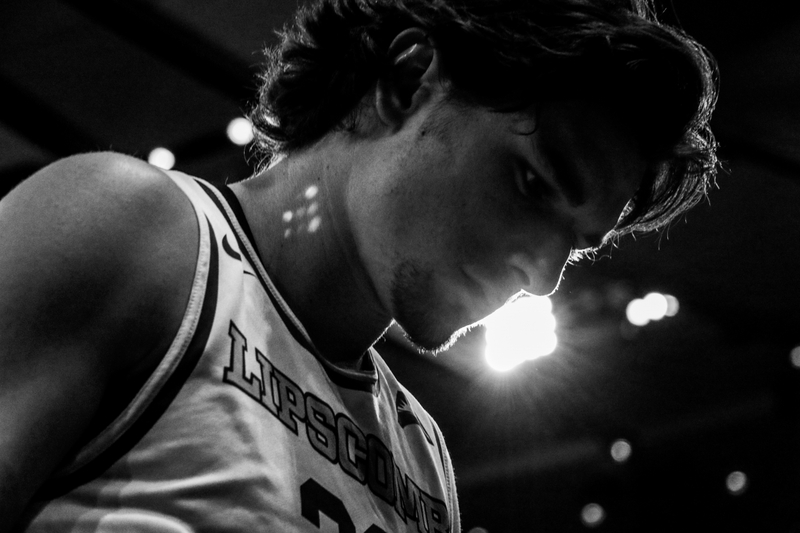 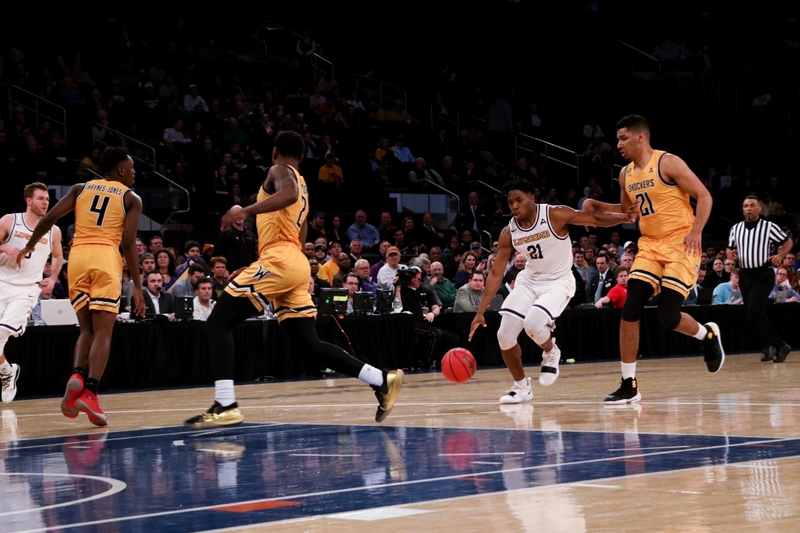 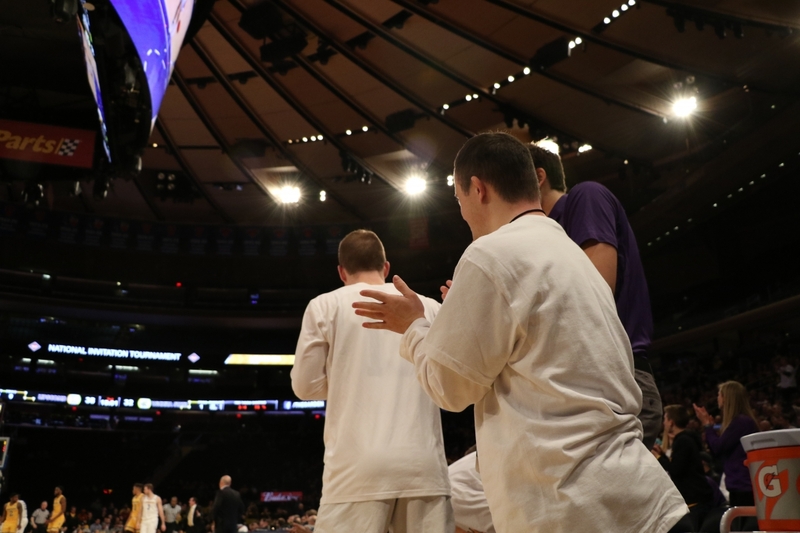 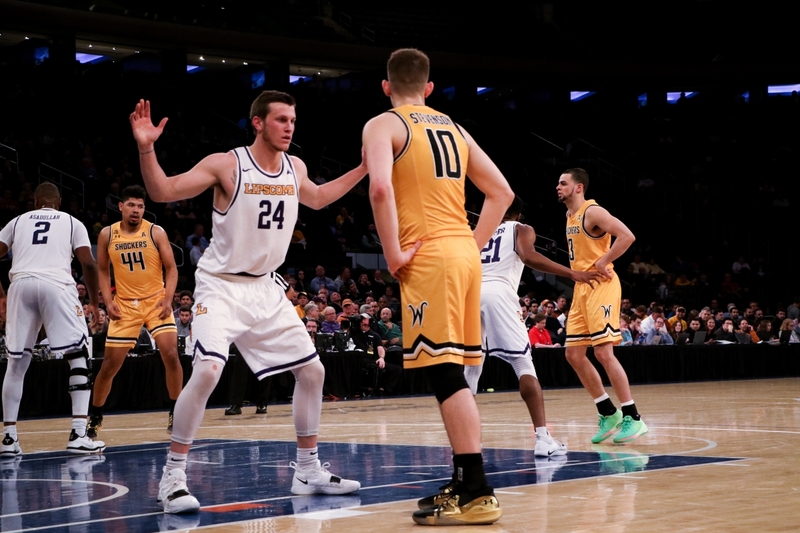 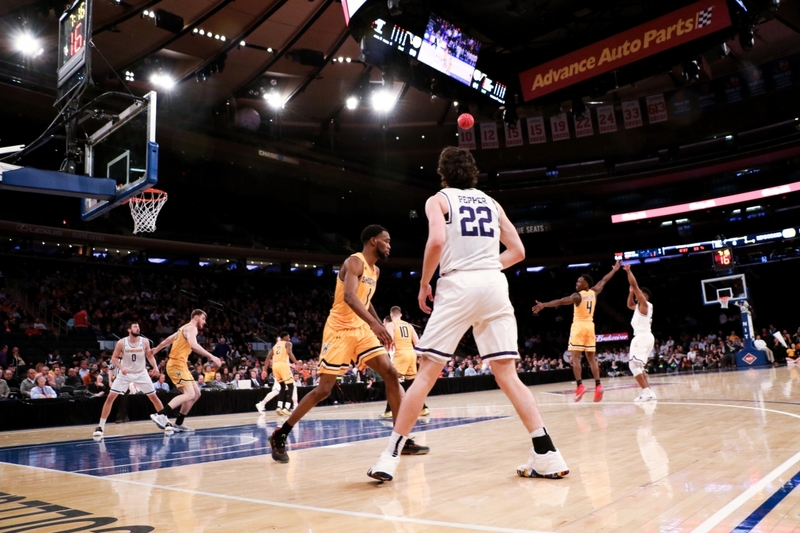 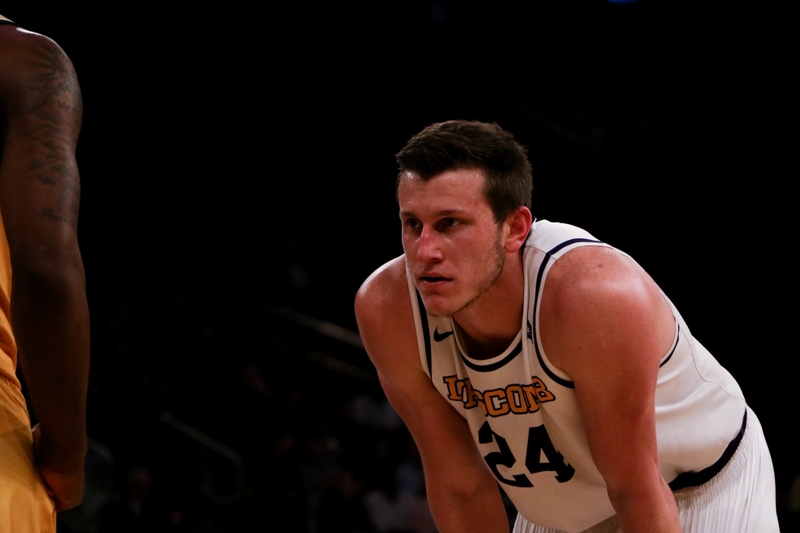 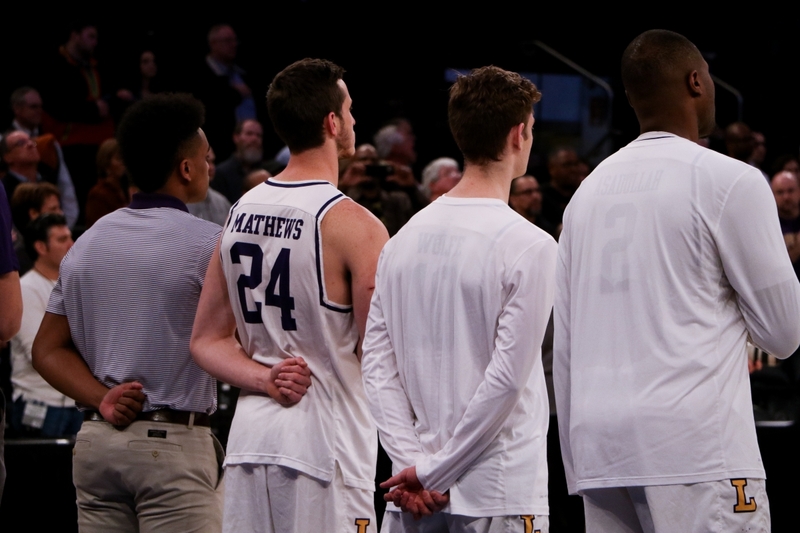 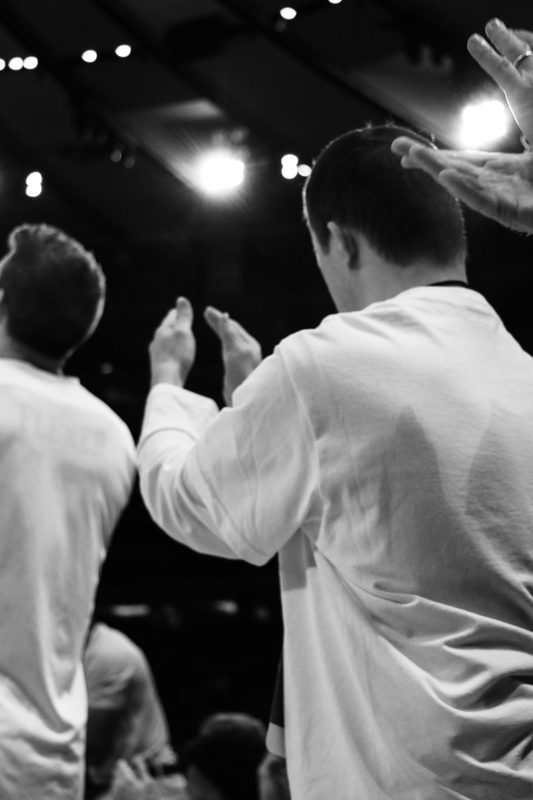 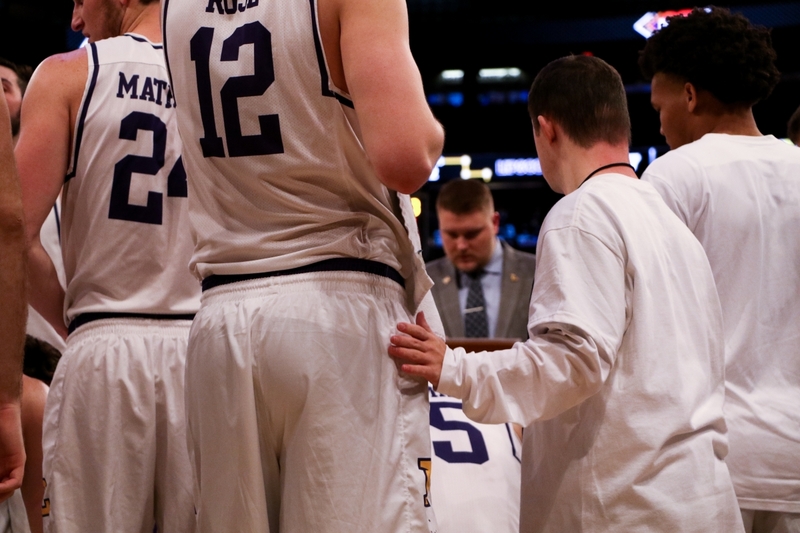 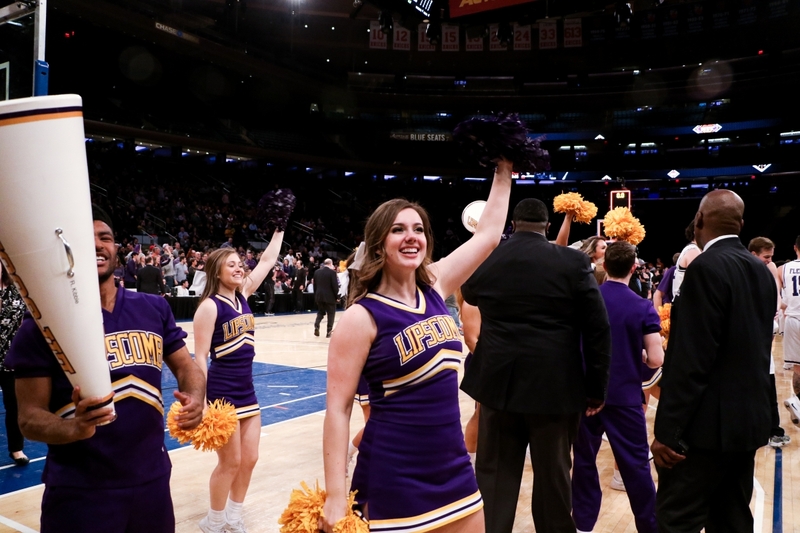 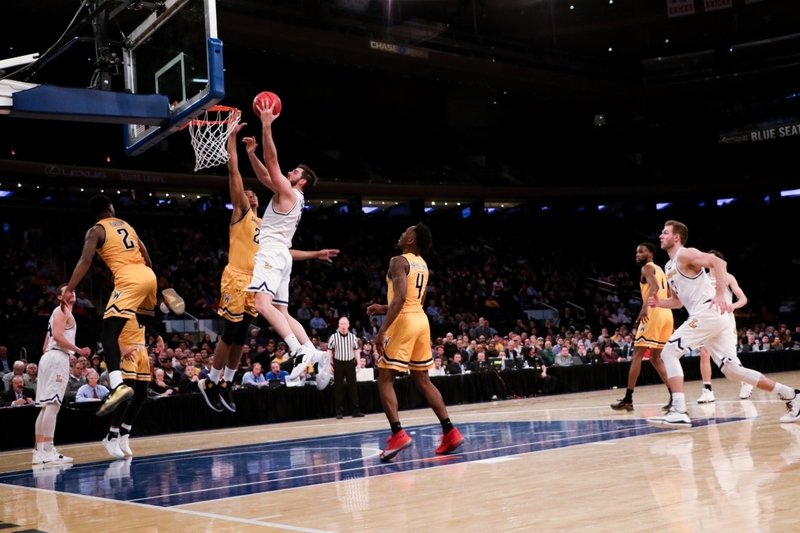 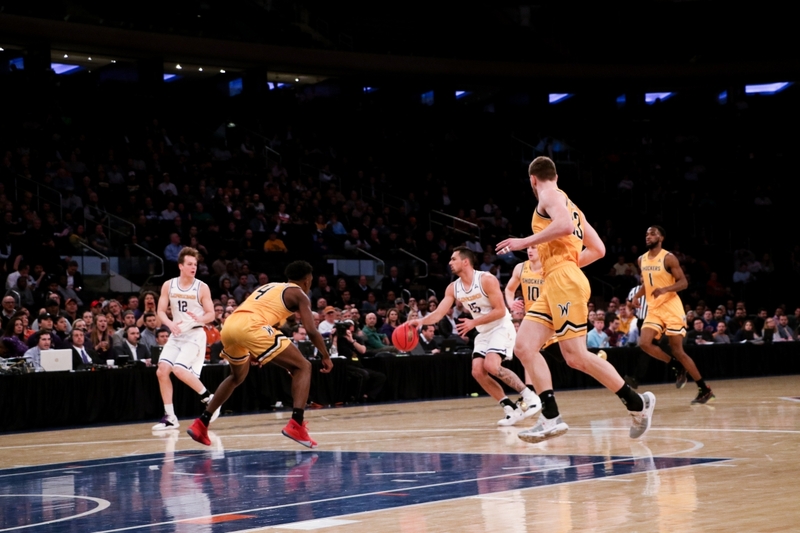 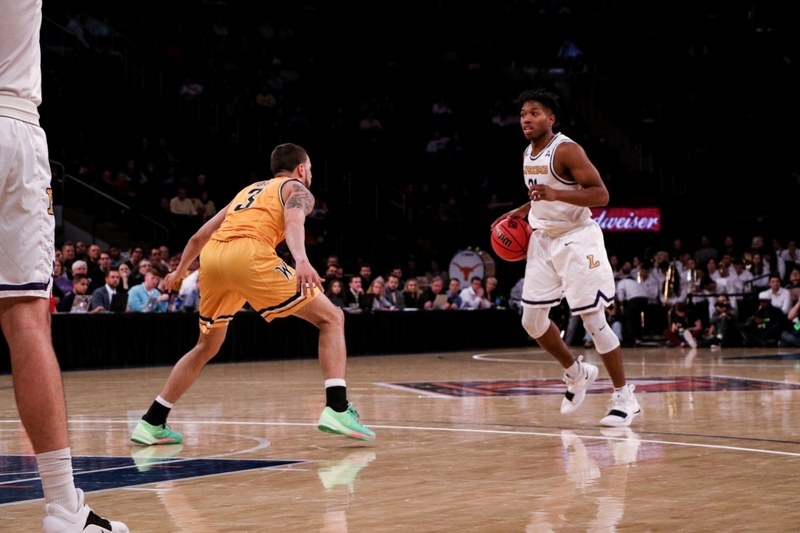 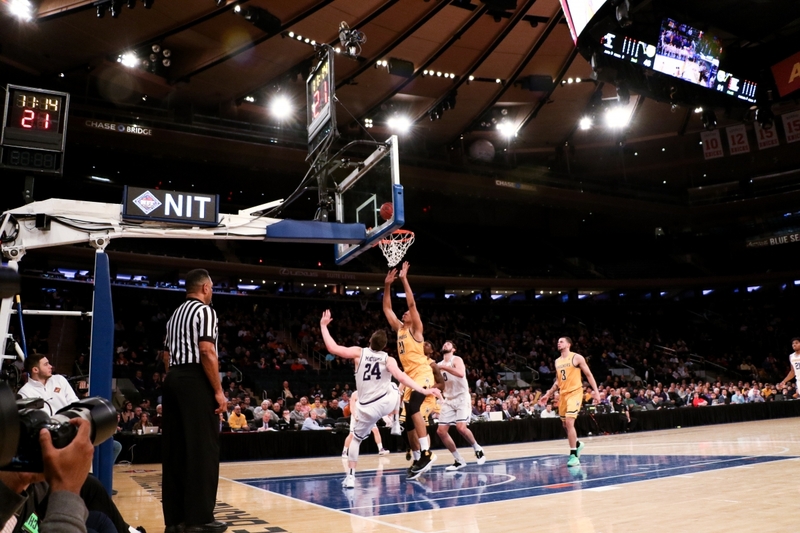 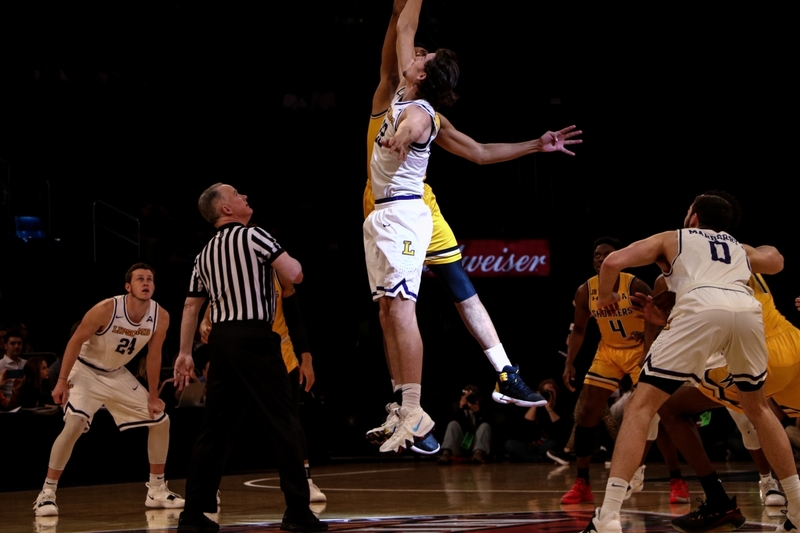 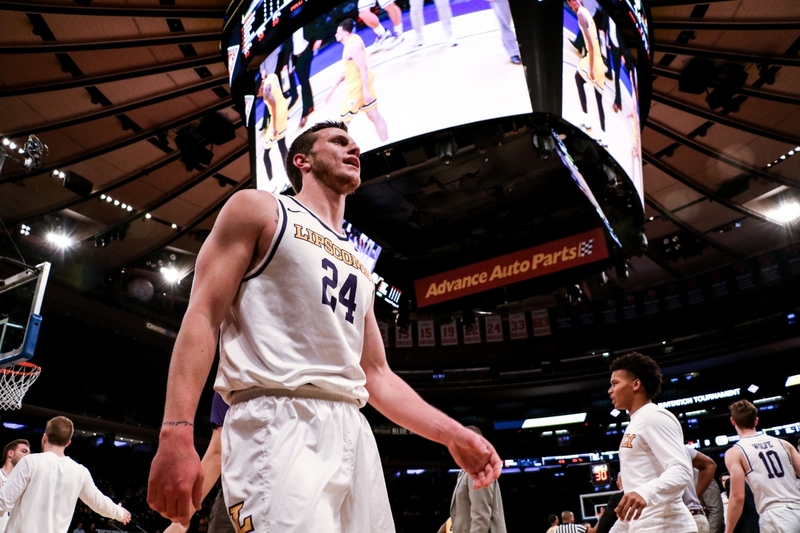 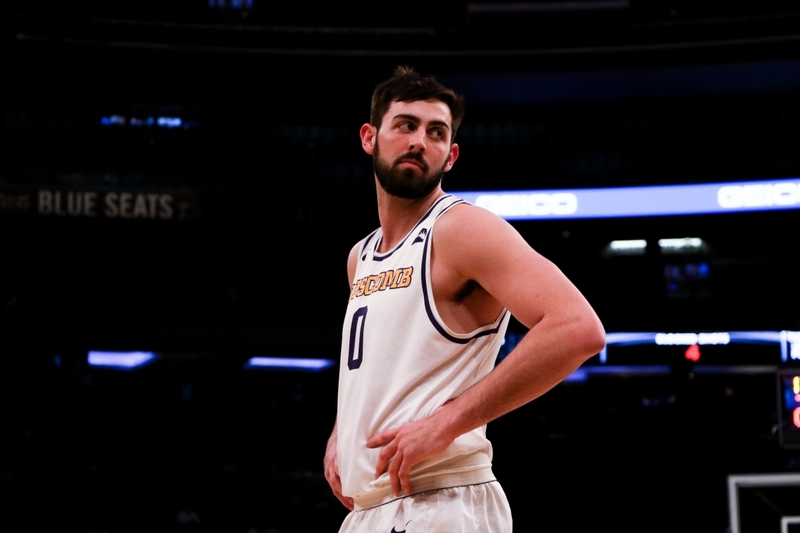 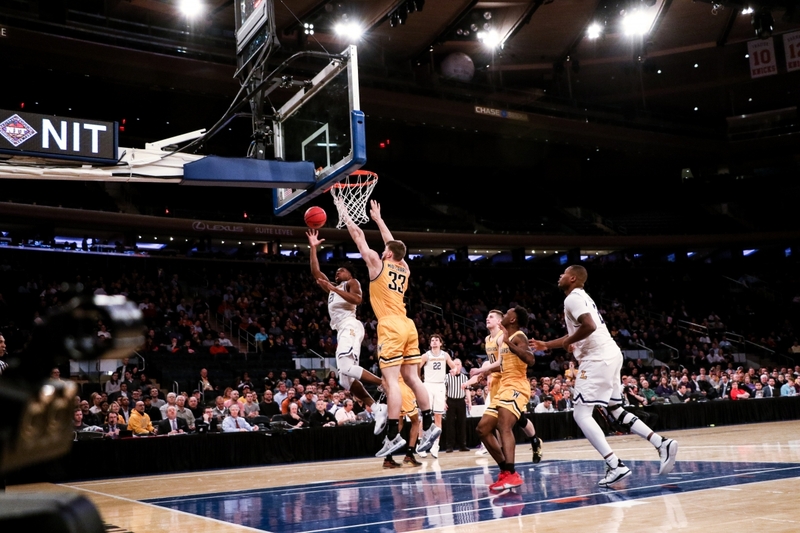 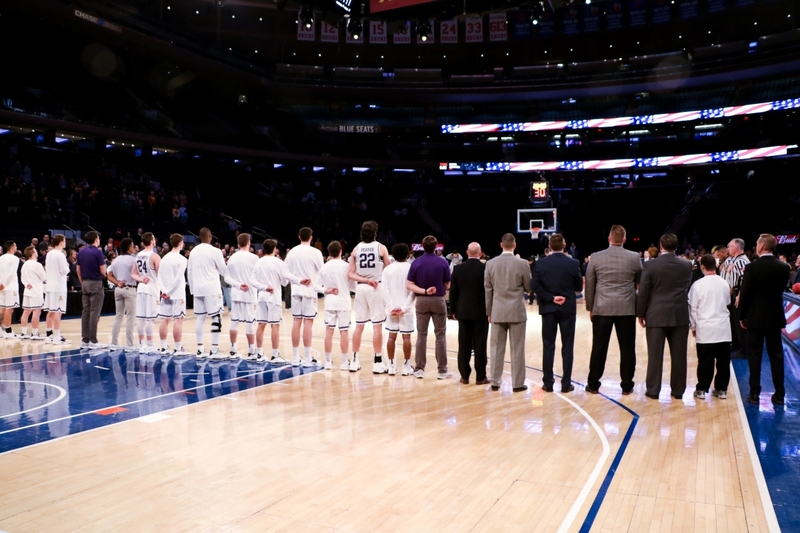 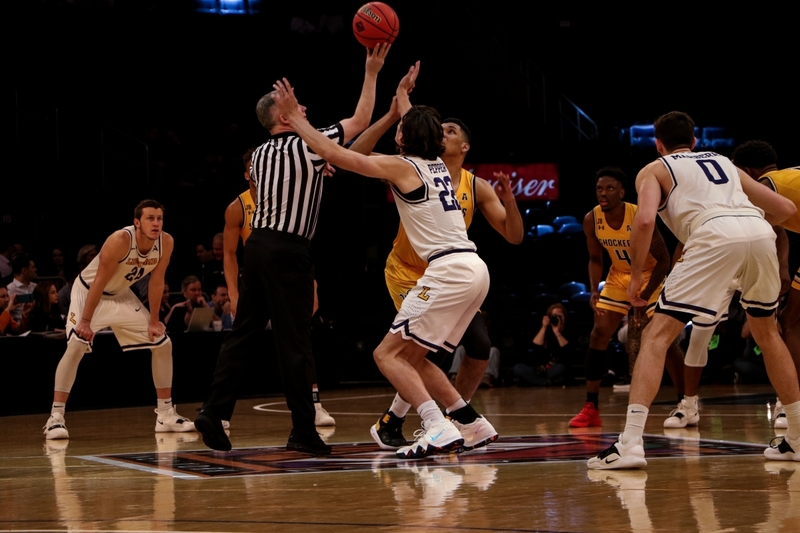 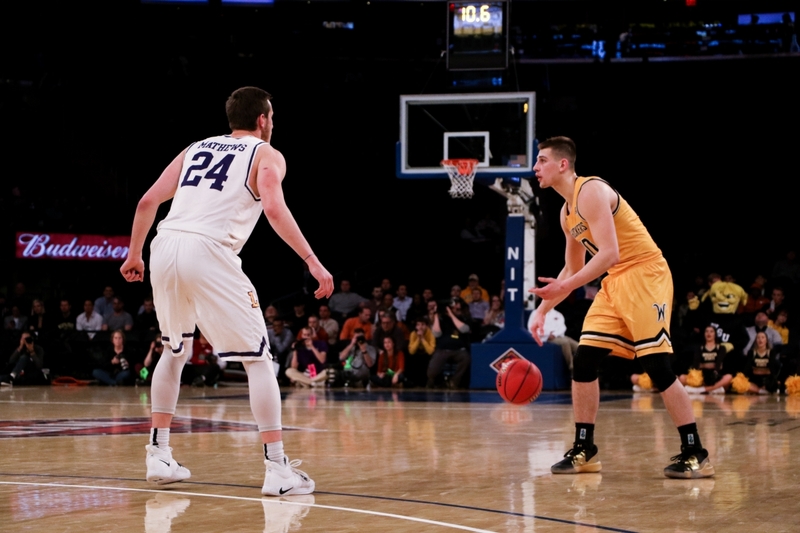 NEW YORK CITY – Things looked bleak for the Lipscomb men’s basketball team with 3:46 left in Tuesday’s NIT semifinal game at Madison Square Garden. 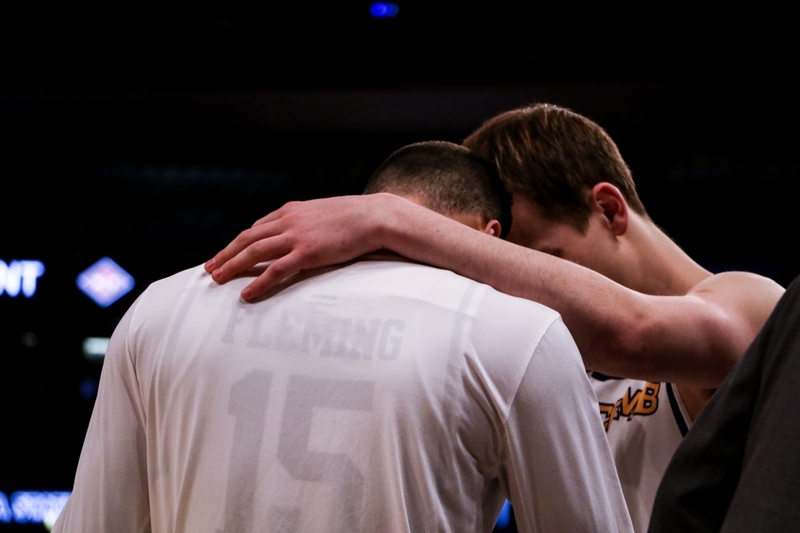 Wichita State appeared to be in control, but the Bisons had a final surprise for the Shockers. 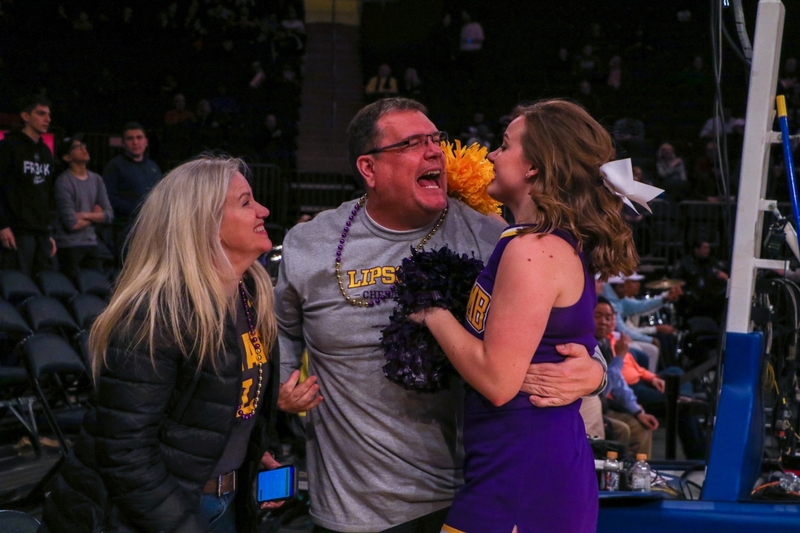 Powered by senior leader Garrison Mathews, Lipscomb closed the game on a 14-0 run to steal a 71-64 victory and advance to the NIT title game. 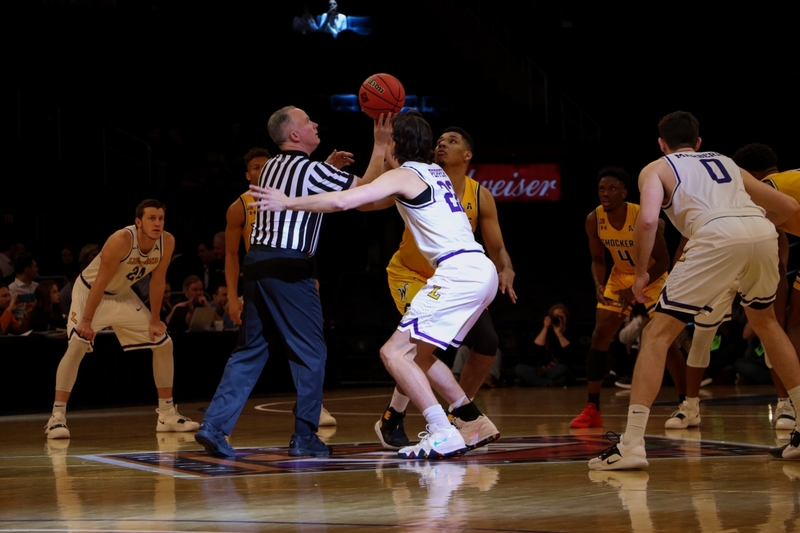 The Bisons will battle Texas for the championship Thursday at 6 p.m. CT on ESPN and on Lumination Radio. 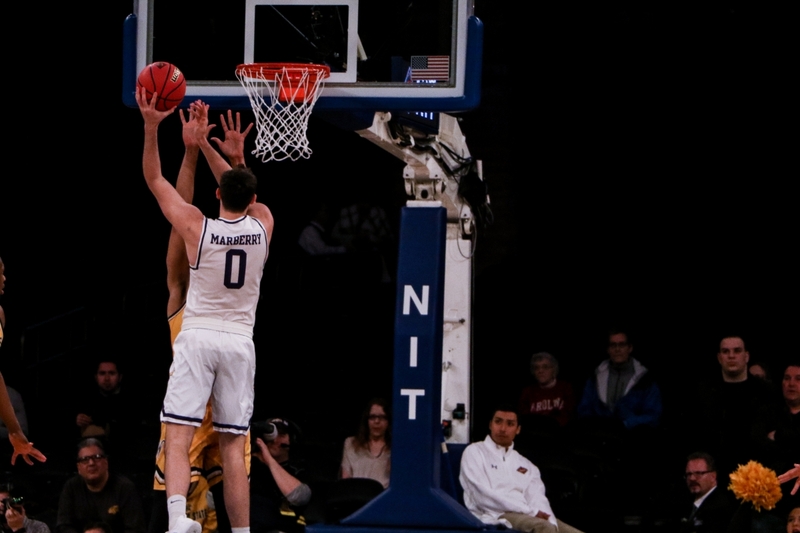 Mathews led all scorers with 34 points, but he had to earn every bucket. 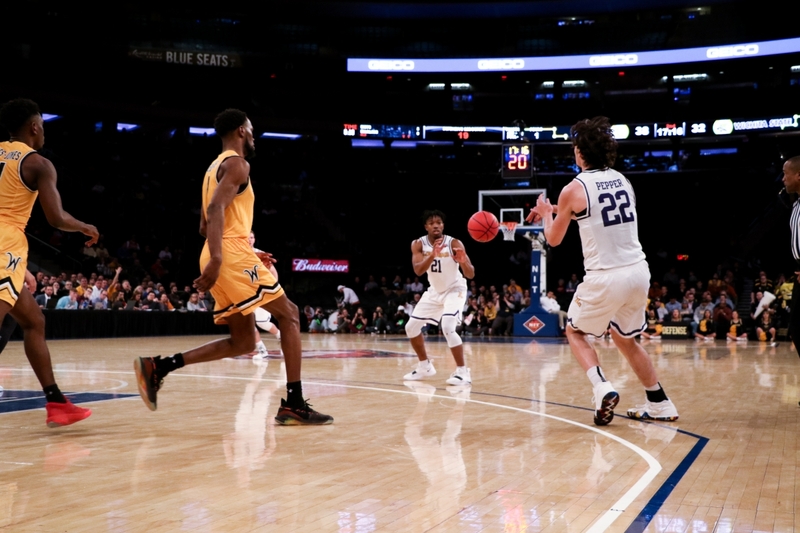 The Shockers’ defense paid close attention to him and tried to deny the ASUN Player of the Year on the perimeter. 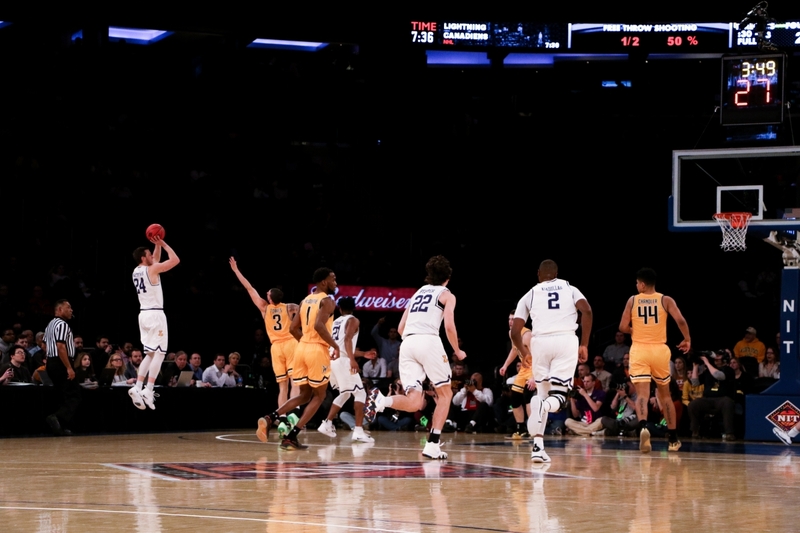 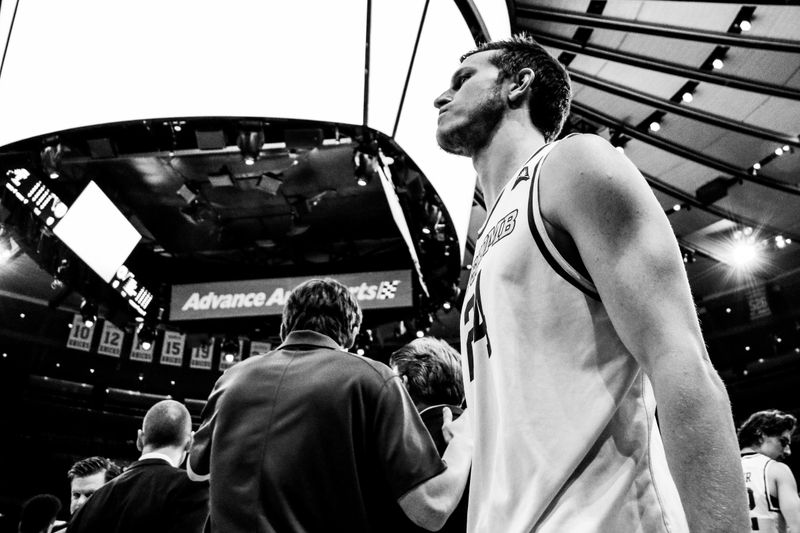 But the Franklin native still managed to make five of his fifteen three-point attempts and 11 of his 12 free throws. 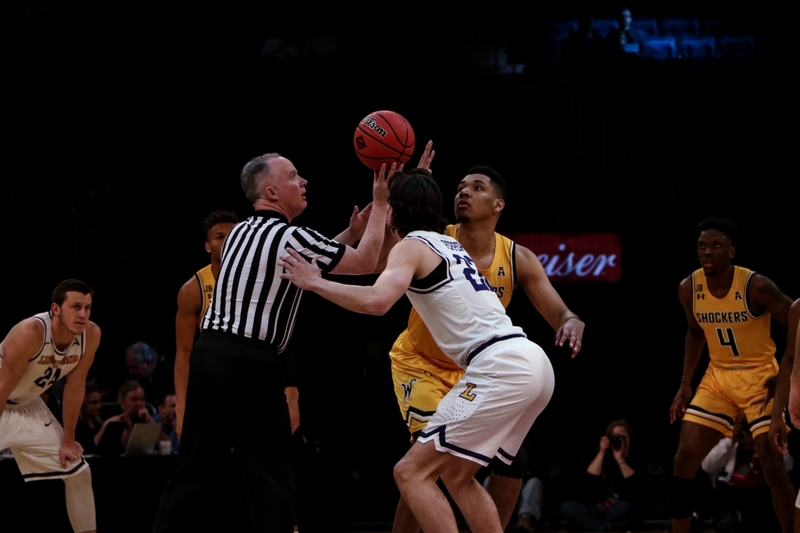 He scored Lipscomb’s final seven points, including a go-ahead three with 1:10 remaining. 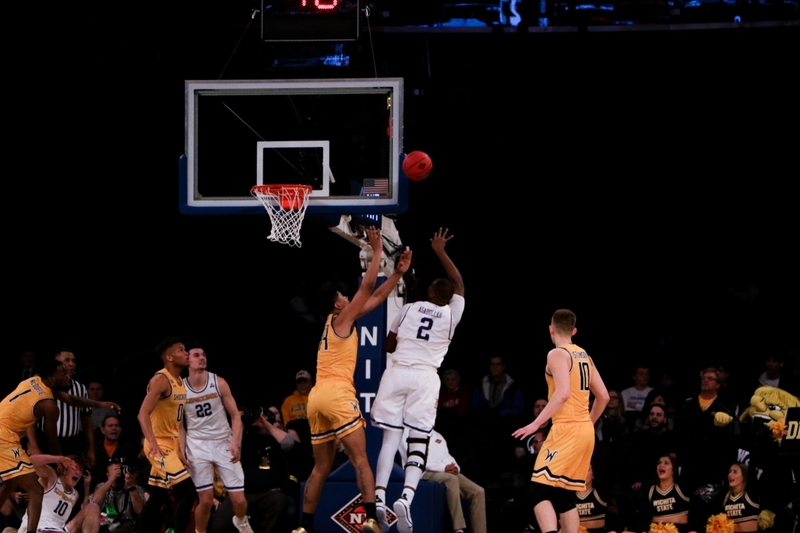 “I went cold there for a little while, so it was good to finally knock one down for my team and help them kind of get over the hump,” he said. 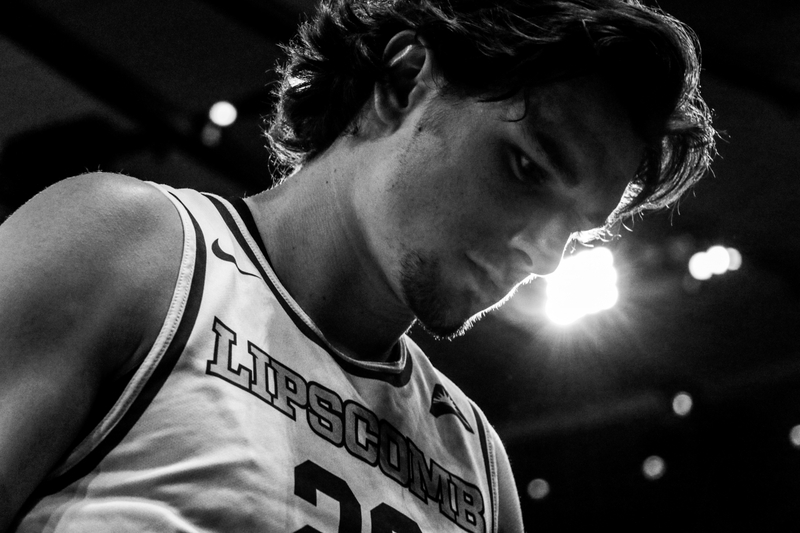 Rob Marberry also had 14 points for Lipscomb, and senior forward Eli Pepper surpassed 1,000 career rebounds by pulling down 15 boards. 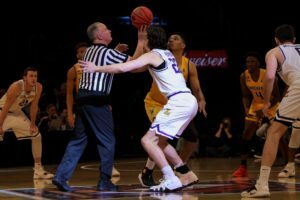 Lipscomb led 35-30 at halftime, but the Shockers responded with a 16-3 run to pull away midway through the second half. 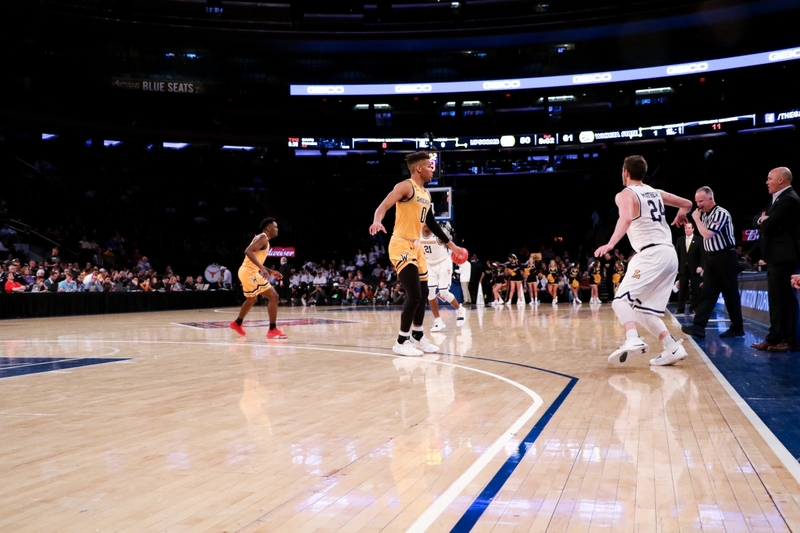 Wichita State (22-15) led by as much as 11 with 8:08 left to play, but the Shockers saw their lead slowly slip away. 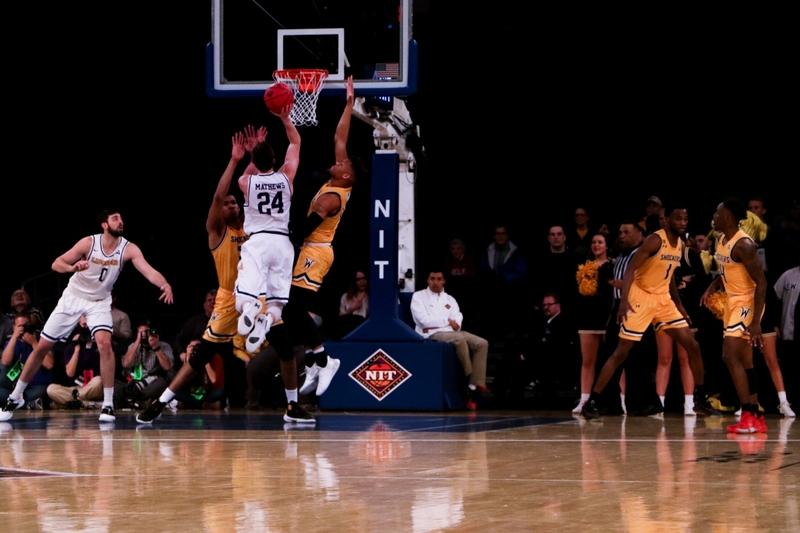 Jamarius Burton’s two free throws with 3:46 remaining were Wichita State’s final points of the contest. 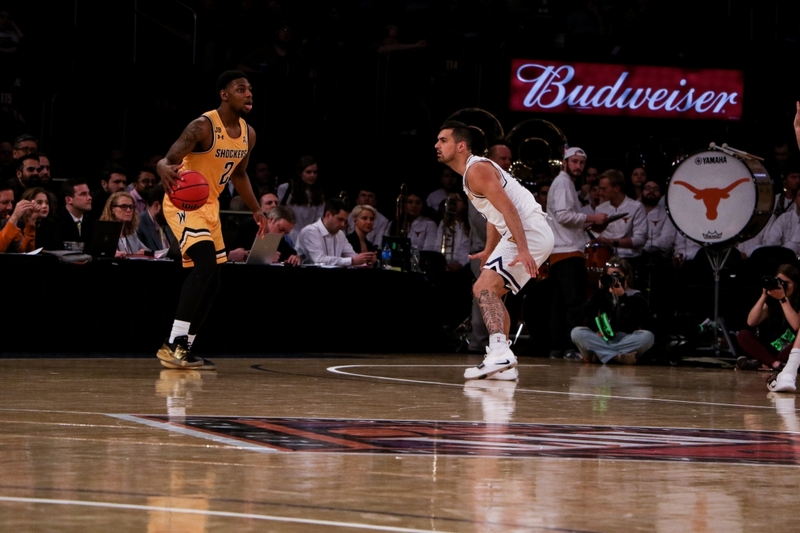 Late in the second half, Wichita State coach Gregg Marshall had to break up a scuffle between guard Dexter Dennis and forward Jaime Echenique, who was calling for the ball in the paint. 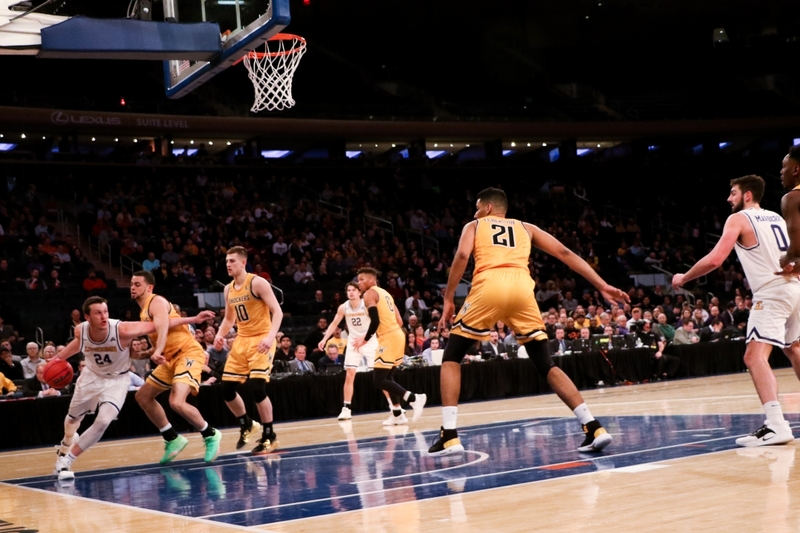 The Shockers unraveled from there. 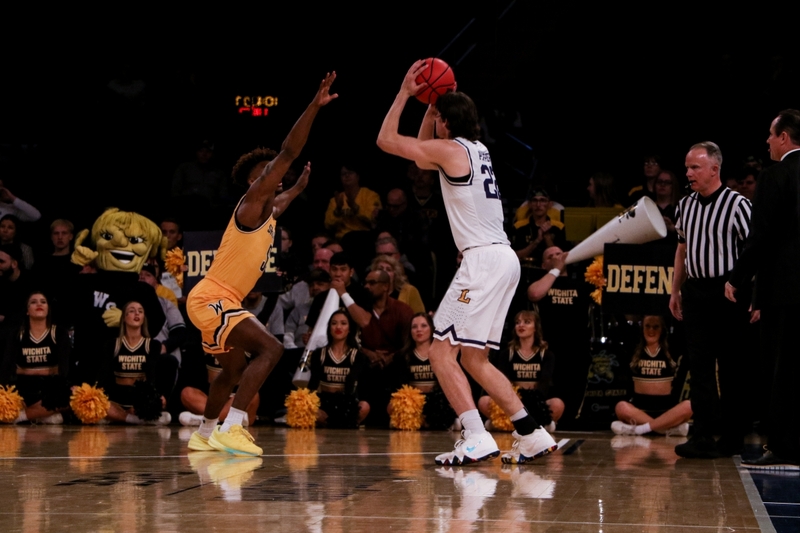 Lipscomb fifth-year senior Nathan Moran swished a pivotal three with 3:25 left to cut Wichita State’s lead to 64-60. 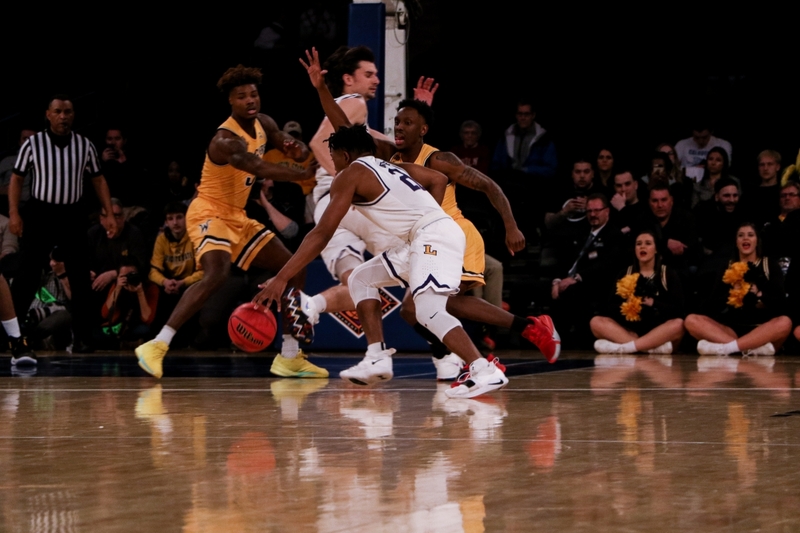 Marberry then made a layup, Kenny Cooper knocked down a pair of free throws and Mathews reeled off the final seven points to complete the 14-0 run. 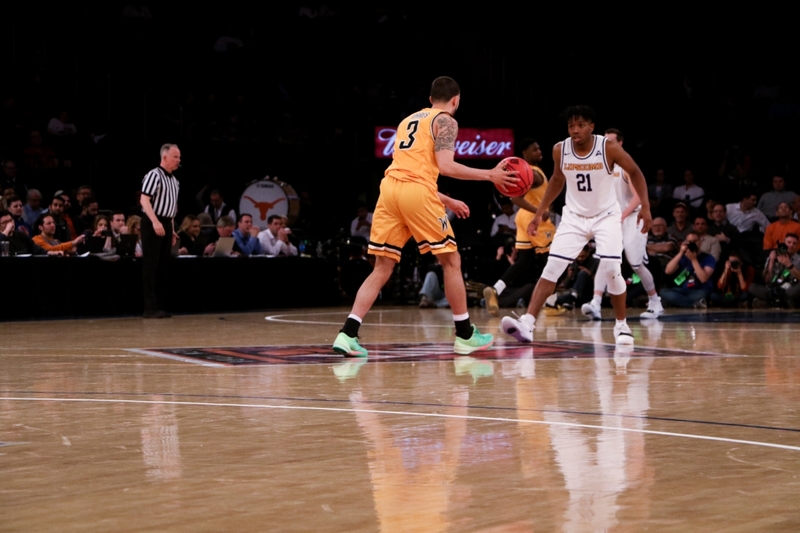 Dennis led the Shockers with 13 points. 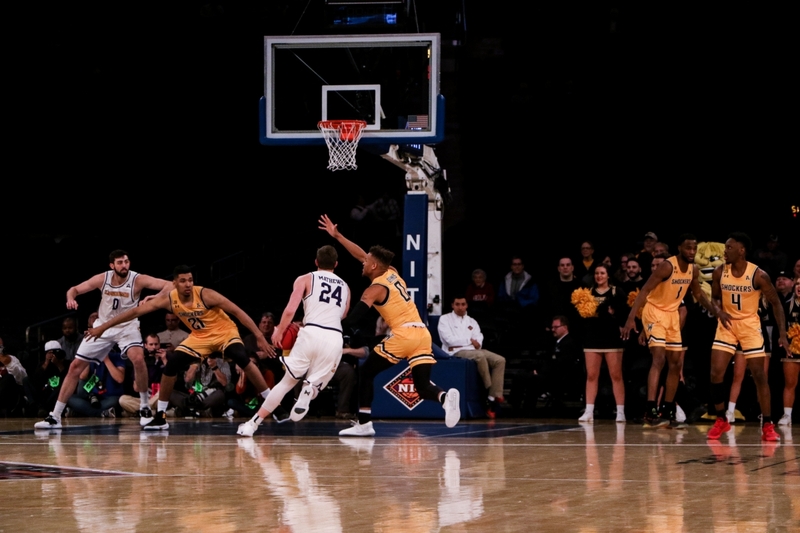 Markis McDuffie (12) and Samajae Haynes-Jones (11) both finished in double figures for Wichita State. The Bisons (29-7) pulled out three road victories over Davidson, UNCG and NC State to advance to the NIT semifinals. 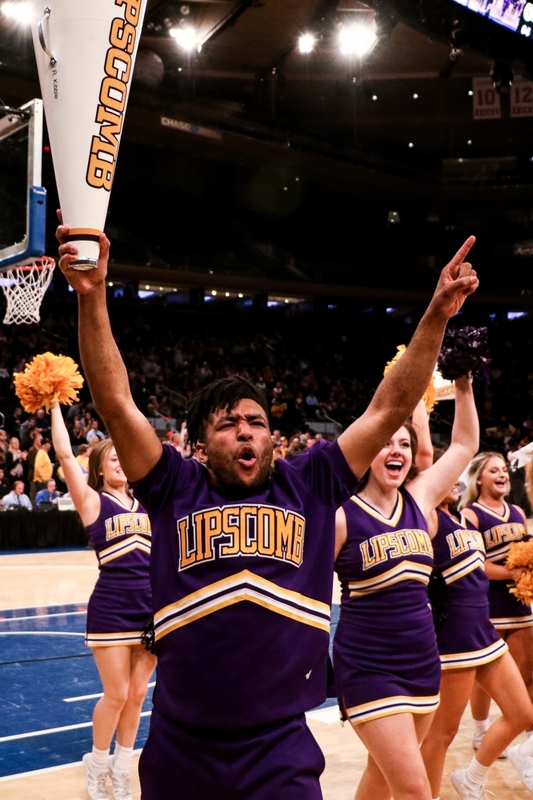 14 of Lipscomb’s wins have come on the road, and Tuesday’s game was the team’s first neutral-site battle of the season. 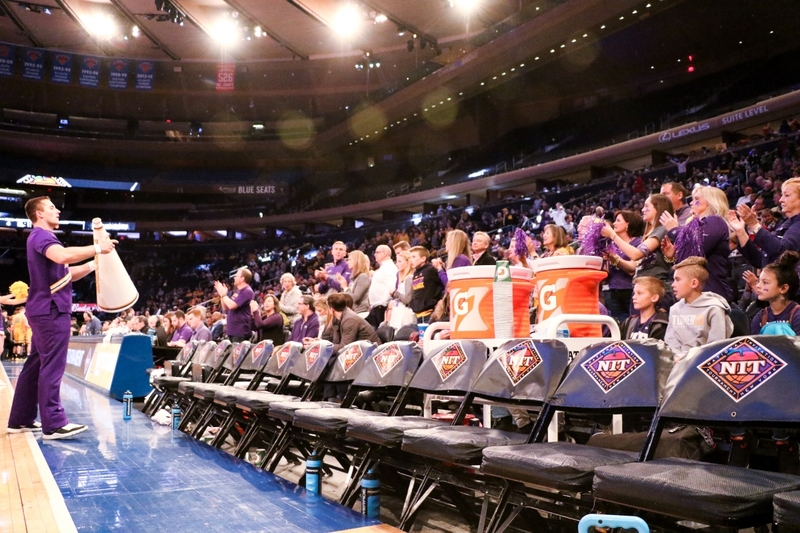 Texas (20-16) knocked off TCU 58-44 to advance to Thursday’s NIT championship game.